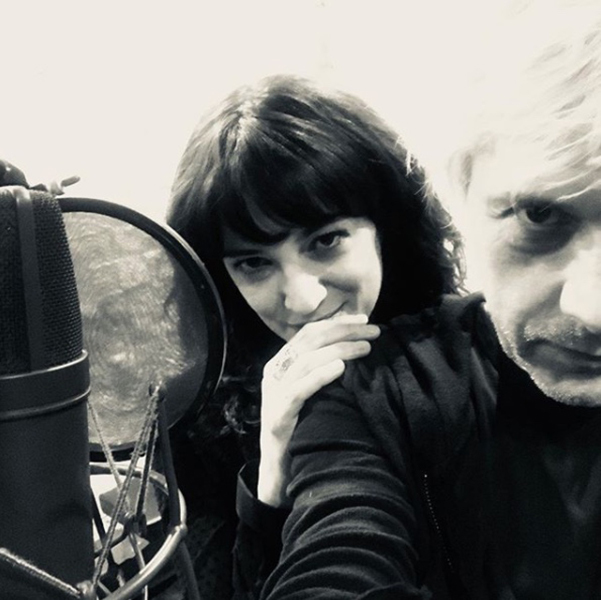 For Nicola Sirkis (singer) and Dominique Nicolas (guitarist-composer), all begins in may, when the two friends create the band. The first songs are written in four months. Also four months to thoroughly regulate the details of the first gig. And four months again to set up one of the most famous pop band that France has ever known. The Rose Bonbon, a famous Parisian club of the 80’s, is immediately charmed. For the occasion, Dimitri Bodianski and Stephan Sirkis (Nicola’s brother), join the band. 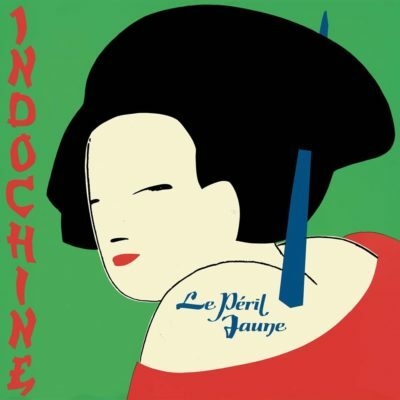 Indochine signs its first deal with the only label that keeps Indochine as name of the band. Françoise and Dizzidence Politk are recorded at Hateville Studio. Music critics are more seduced than radios or TV. Indochine performs as opening band for Taxi Girl (France and Europe). Following this surprising success, the Taxi Girl manager became anxious, and decides to cancel Indochine on the rest of the tour. L’Aventurier is released on november 15. The single L’Aventurier becomes 1983′s summer hit. 250 000 copies of the album are sold. Press gives a warmfull feedback and compliments the band for its technological innovation. 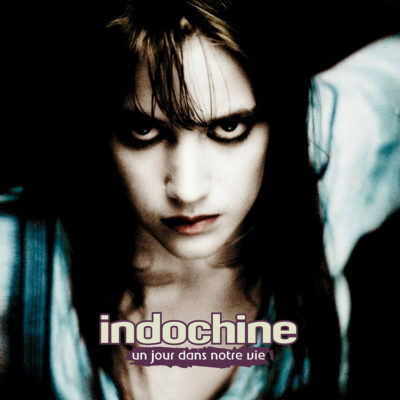 Indochine becomes popular and young new wave audience is seduced. 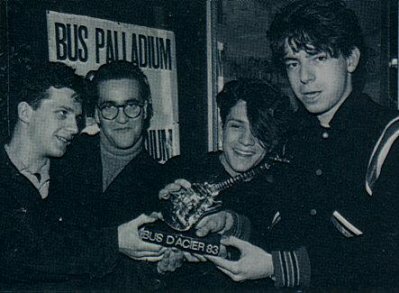 Indochine was offered a Bus d’acier (1983), then goes back to studio to record the second album. The receipt remains the same : texts-scénari + exotic synthetizer + Shadows type guitars + special rhythmic. The Péril Jaune album reaches 225 000 copies, with Kao Bang and Miss Paramount as singles. 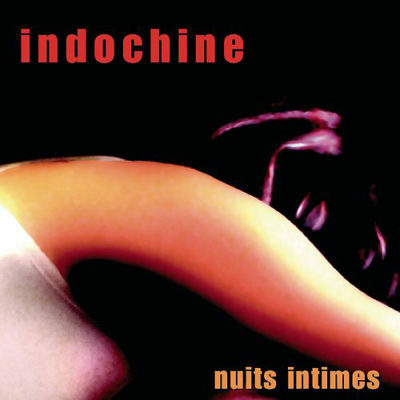 Indochine grows in popularity and is now supported by numerous fans, to which Nicola, Dominique, Stephan and Dimitri are very grateful. Indochine performs in France and triumphs in Scandinavia. All generations are singing 3e Sexe, Canary Bay, Trois Nuits par Semaine and Salômbo. Indochine imposes its style, and irritate some… No matter what, plebiscism remains frank and massive. 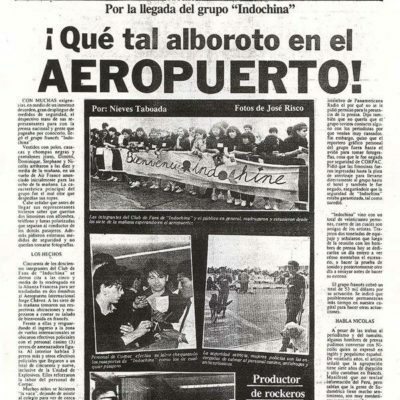 750 000 copies of 3, Indochine’s 3rd album, are sold through Europe. Serge Gainsbourg directs the video of Tes Yeux Noirs. The band is ready for its first Zénith (Paris). 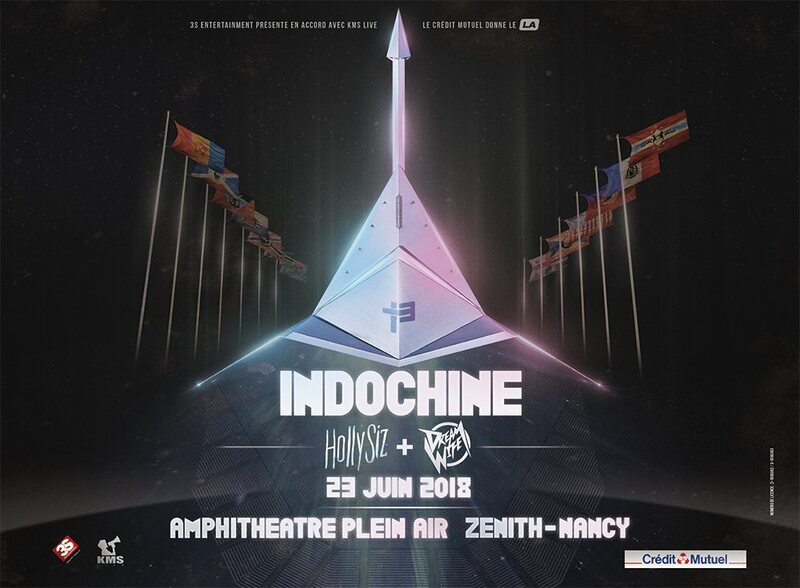 Indochine celebrates its 5th birthday by performing at Paris Zénith. 350 000 copies of the show (CD and video) are sold. 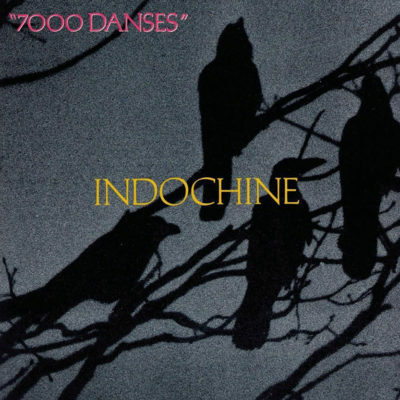 Indochine goes back in studio and composes 7000 Danses. As Miraval studio was also the place where The Cure recorded before, some rock critics, obviously irritated by Indochine’s breakthrough, are comparing the two bands. 7 000 Danses is a success, 320 000 copies are sold. Indochine performs in front of 5000 in France (4 Zéniths, Paris), 5 000 in Montréal, Canada, and 45 000 fans in Lima, Peru ! Dimitri leaves Indo. The quartet becomes trio. But the band is always on the run, Nicola, Dominique and Stephan go back in studio from july to november. 200 000 fans buy the new album, called Le Baiser. The song Des Fleurs pour Salinger becomes a hit. 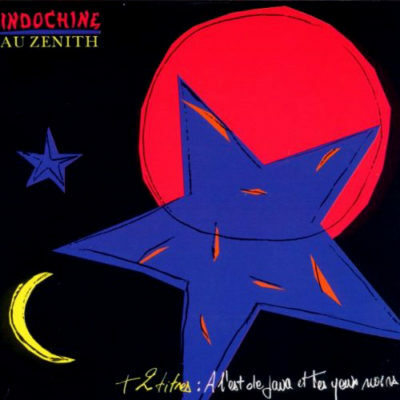 At the end of the eighties, Indochine remains one of the most popular bands in France. The Indo-Mania goes beyond Europe (600 000 copies of The Birthday Album are sold). At the back of the album, a picture of two young fans, as a tribute to the public. After 4 years without any live performance, the band reunites with the public on the Birthday Tour (+ 1 Olympia), sold-out. Times goes by, and Indochine goes back to Miraval studio. A new album is recorded, Un Jour dans notre Vie, but the last won’t be as successful as the others. Indochine performs in front of 5 000 at Spa Festival (Belgium). 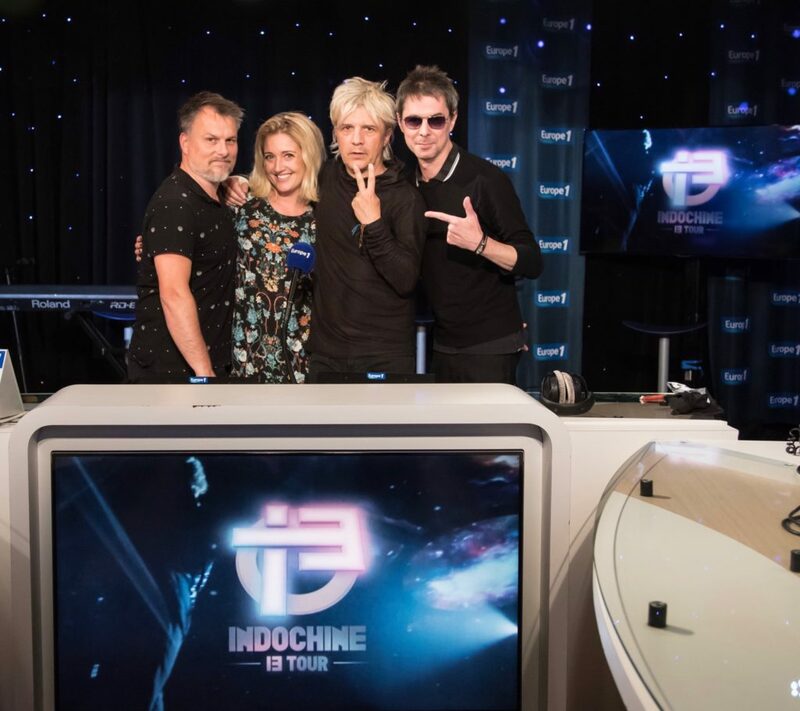 The show is recorded, Radio Indochine. the band begins to doubts, future is compromised. Dominique decides to leave the band. Fans write to Nicola and Stéphane to show their support. Indochine has to go on, with a new guitarist. 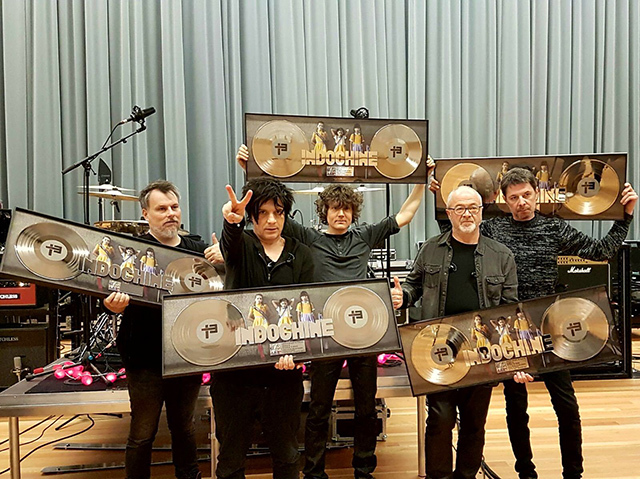 Indochine signs with the label BMG, for three albums. The best-of Unita is released, The artwork cover is a young fan, representing the new public generation. In spite of an effective brit-pop calibration and an undeniable quality, Wax, the new album, is ignored by medias. The Wax Tour is a success. 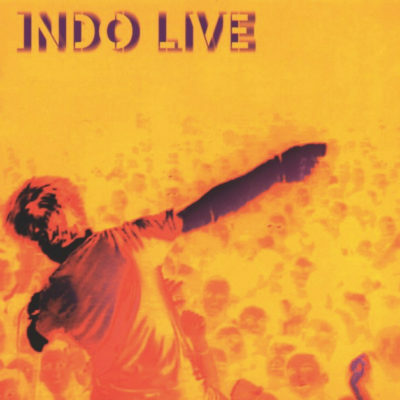 On May 11, the show in Brussels is recorded, named Indo Live (available in Digital, CD and DVD). Indochine’s new tour, The Live Tour, is a huge success. 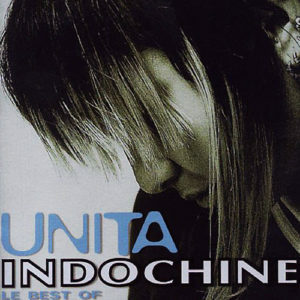 French bands sells usually less than 300 000 copies of a CD, Indochine do more. The band’s got a future. A new album is on its way. Maquettes are ready at the end of the year, It is announced to be a hit. Stephan passes away as the recording of Dancetaria has just started. Has the band to continue or not ? choices have to be made. Nicola decides to continue. Stephans’ last compositions testify his talent forever. Dancetaria‘s painful work is over, the album is released on august to avoid sad media coverages. The 99 Tour is the most emotive one. For the first time of its history, the band performs new songs on stage. The public reaction is incredibly good, Dancetaria compositions proves the potential of the band. The tour ends on june 24 in Paris (Olympia, sold-out for months). Dancetaria is finally released and hits directly the 14th place of the french charts. 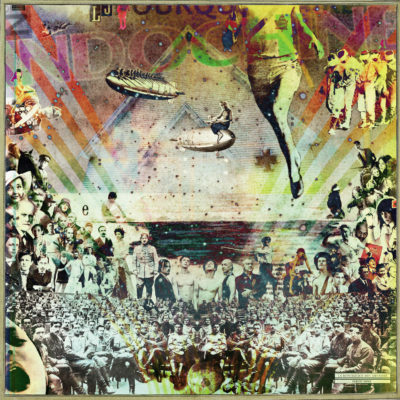 It is certainly one of the most popular album of the band. Produced by Gareth Jones (Depeche Mode, Garbage), with modern and innovative sounds emphasizing strong compositions. The band hit the road again, Dancetaria songs are also impressive when performed live. Again, the tour is a success, sublimated by two shows : Brussels (Forest National, 9 000) and Paris (Zénith, 6 000). On february 27, a concert in honour of Stephane is scheduled. 500 fans are invited (La Maroquinerie, Paris). The Dancetaria Tour continues. 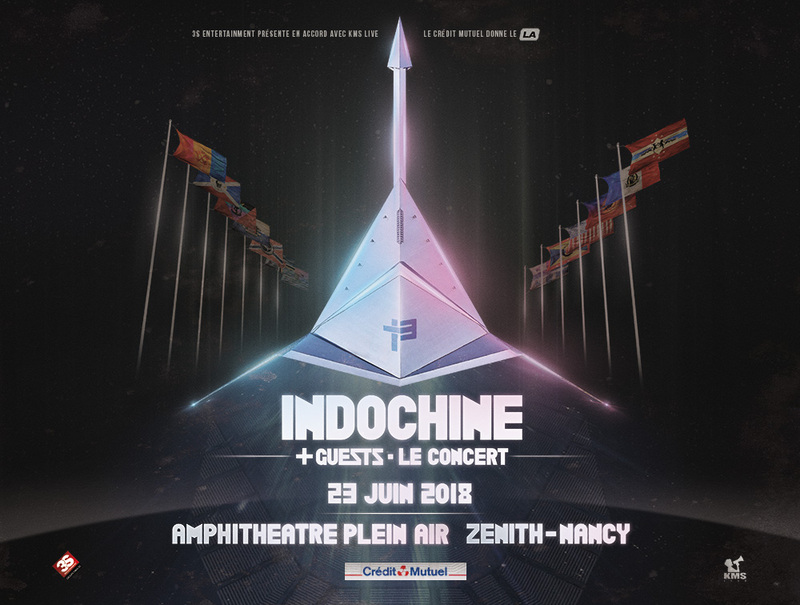 Indochine performs at Solidays (30 000), Bobital (15 000), and Colmar (10 000). On august 12, at Les Arènes de Nimes, with Placebo. The Nuits Intimes Tour tour begins in october. The acoustic album Nuits Intimes is released. Indochine perform at La Cigale (Paris) for 3 acoustic shows. The band returns to the studio, working on the future album. Nicola and oLi ask Year Scott, Camille Laurens, Mickey 3D, Gerard Manset, Jean-Louis Murat and Melissa Auf Der Maur to work on the project. Pauline, 8 years old, is also singing on the song J’ai Demandé à la Lune. Indochine celebrates its 20th birthday. The band offers songs to download for free on indo.fr. On february 21, a private show takes place at the Elysée-Montmartre (Paris). Songs from the upcoming album are performed. The Paradize Tour is unveiled. On the same time, the first single of the album, J’ai demandé à la Lune, is a success (+1 million copies sold). Paradize, the album, released some months later, is just as successful. The tour begins. The band is also touring abroad : Switzerland, Belgium, Luxembourg and Canada. The Paradize Tour, Act I + II is a huge success. With more than 50 sold-out gigs, 2002 sounds very live. 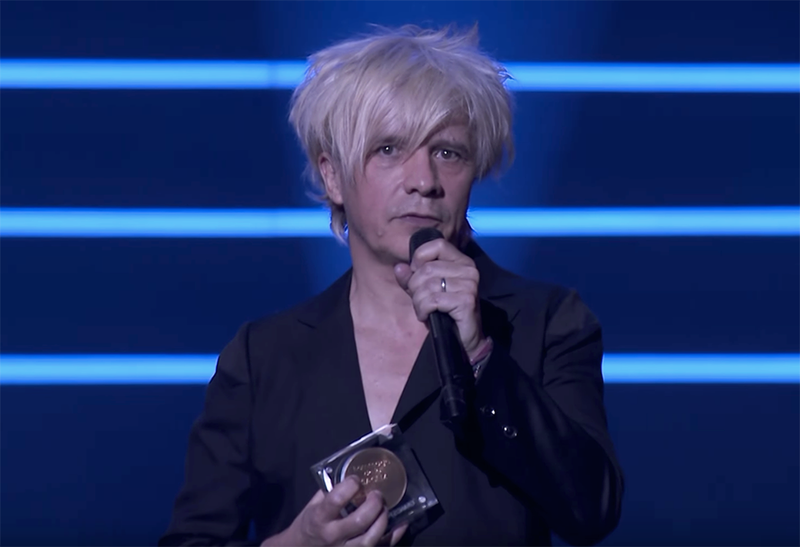 Indochine welcomes some rewards : Best French Act at the MTV’s Europe Music Awards, Album of the year (NRJ Music Awards), Best pop album of the year (Victoires de la Musique). The Paradize Tour, Acte III ends on june 3, 2003 at Bercy (Paris). On summer, Nicola inaugurates the X-Festival, first independant and itinerant European festival. 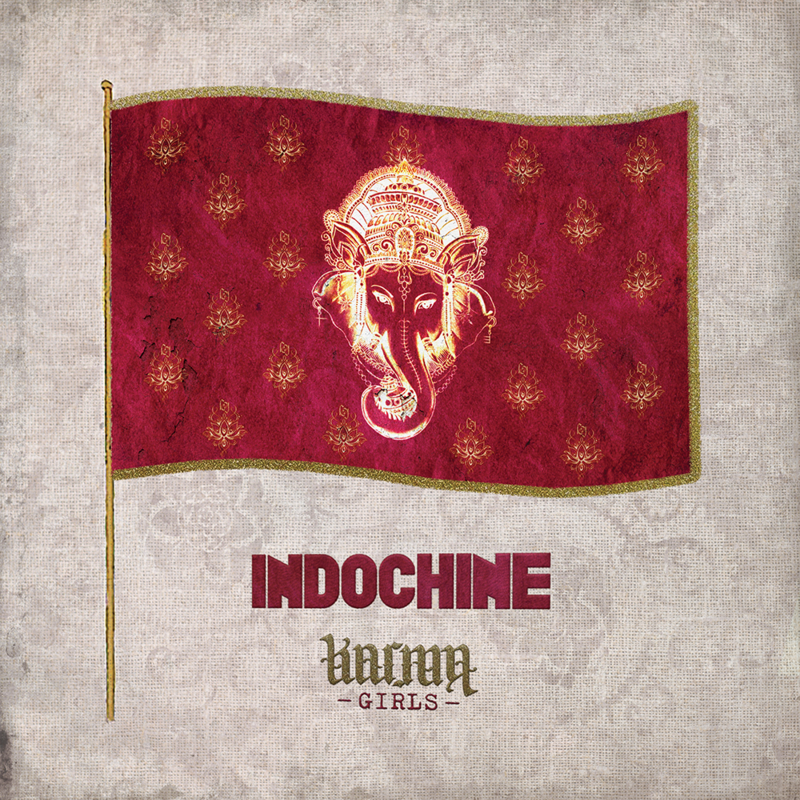 For the first edition, Indochine is joined by Aqme, Dolly, Hoggboy, LTNO, M.A.S.S., Mass Hysteria, Mickey 3D, Scala, Venus, Wampas. The following editions of the festival are planned for 2005 and 2007. Indochine spends 3 months in studio, working on the future Paradize Tour DVD/CD. 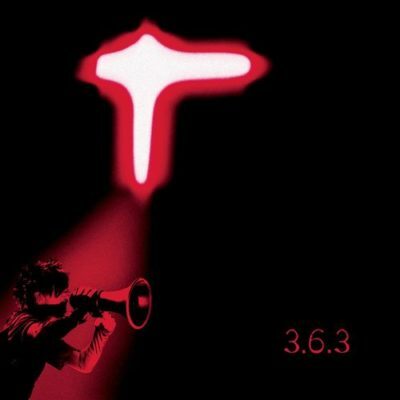 In January, the album 3.6.3 (for June 3, 2003) is released. 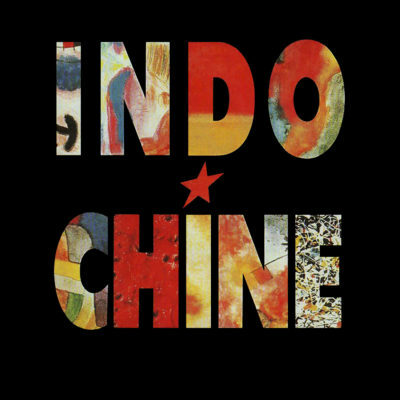 For the first time in Indochine history, an album reaches immediately the top of the charts. Two months later, the Paradize Show DVD is released. Two shows are given on the same day (january 24) : in Brussels (Ancienne Belgique, 6pm), and Paris (Le Grand Rex, 11pm). Indochine begins to work on the new album. Paradize goes diamond, Paradize Show (DVD) triple platinum, 3.6.3 double gold and L’Intégrale des Clips (DVD) triple platinum ! 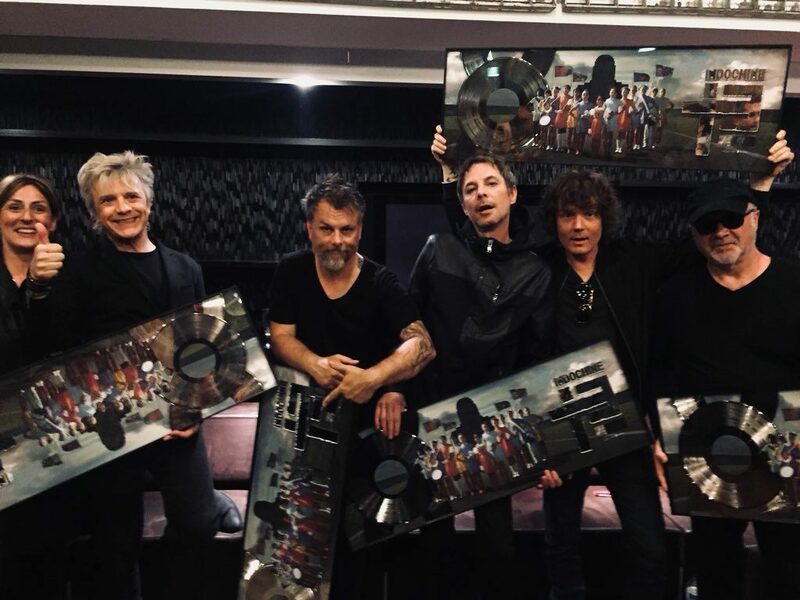 Indochine and Sony/BMG are signing a new discographic agreement. The concept of the Indo Reporters is created (2 fans are chosen on each concert, and share their feelings through reports, posted on indo.fr). A press conference is held on september 27 at the Eiffel Tower. The single Alice & June tops the charts in France and Belgium, and goes gold. Nicola’s book, Les Mauvaises Nouvelles, is released for the second time. 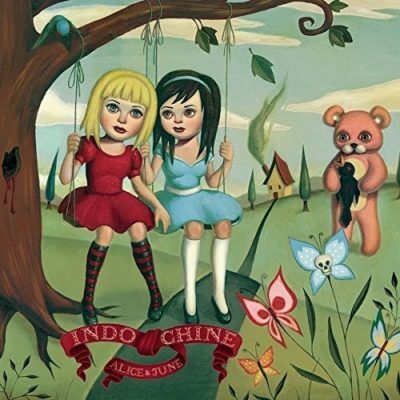 On December 19, Alice & June, Indochine’s new album, is released. Recorded in Brussels, London and France, A&J gathers 21 songs, co-written by Nicola Sirkis and produced by oLi dE SaT. Mixed by Dave Bascombe (Depeche Mode), Paul Kendall (Smashing Pumpkins, NIN, Jesus & Mary Chain) and oLi. Three secret concerts (sold-out in few minutes) are given at the end of december in Reims, Paris and Brussels. 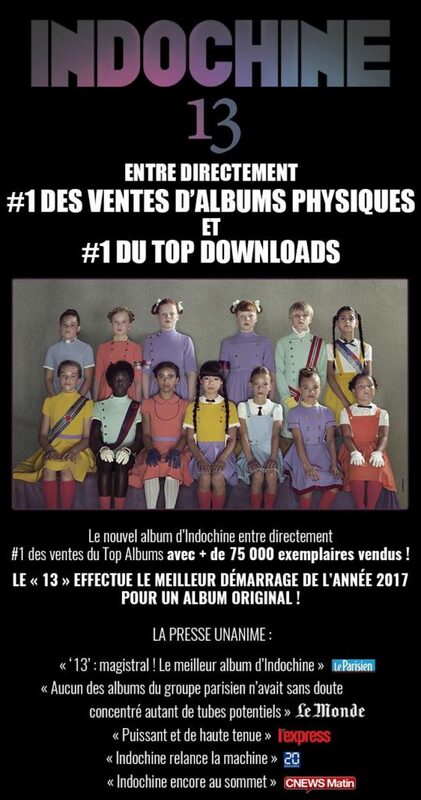 Alice & June tops CD and DVD charts in France. Tickets are also #1 sales. 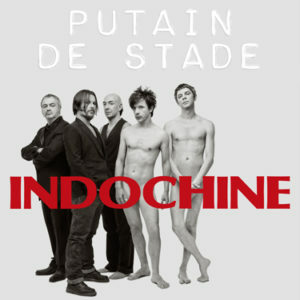 On February 17, Indochine is offered a Carte Blanche at the Fnac des Ternes (Paris). Rehearsals for the upcoming Alice & June Tour begin. Un Flirt Sans Fin, an exclusive documentary is scheduled on TV. 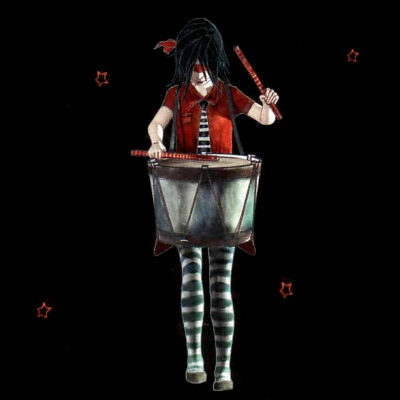 Alice & June Tour, Indochine’s longest tour so far, starts in Montpellier on march 6. So popular that new shows (including 2 Paris Bercy concerts) are added shortly after. 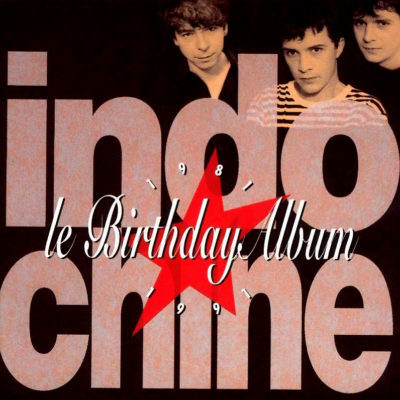 Indochine is now 25 years old. 2 exceptional concerts are held at the Opera House of Hanoi, Vietnam, named 6.6.6 (june 6, 2006). The band performs with the Hanoi philarmonic orchestra. A live album (CD and DVD) will be released some months later. On June, Indochine also perform at Montreal’s Francofolies (2 concerts). The band appears on some festivals : Lyon’s Nuits de Fourvières, La Rochelle’s Francofolies , Paléo and Bobital, in front of +50 000 people. From october to december, the Alice & June Tour triumphs in France, Belgium and Switzerland. The third Bercy is scheduled on may 2007. Hanoi CD and DVD are released on february 19. It reaches #1 charts in France. Indochine join the Sidaction and Make Some Noise for Darfur campaign. The Alice & June Tour resumes in Belgium (Brussels Forest national) on march 2. After having gathered more than 600 000 fans, the tour ends in Paris (Bercy) on may 19, with a memorable show with the philharmonic orchestra of Hanoi. The magic continues one last time with Le Dernier Petit Tour d’Alice & June (5 intimate gigs, in small venues). Alice & June Tour (CD and DVD) is released on December 3. On its first selling week, the live tops the charts : #2 in France and #1 in Belgium, and goes triple platinum. Indochine is working on the upcoming album. Nicola and oLi are composing, with Boris, Matu, Marco and Mr. Shoes. The band covers Dead or Alive’s You Spin Me Round, for Reporters Sans Frontières. A press conference is held in Paris (Collège des Bernardins) to introduce the upcoming album, but also the tour to come, including a giant show, at the Stade de France (Paris). 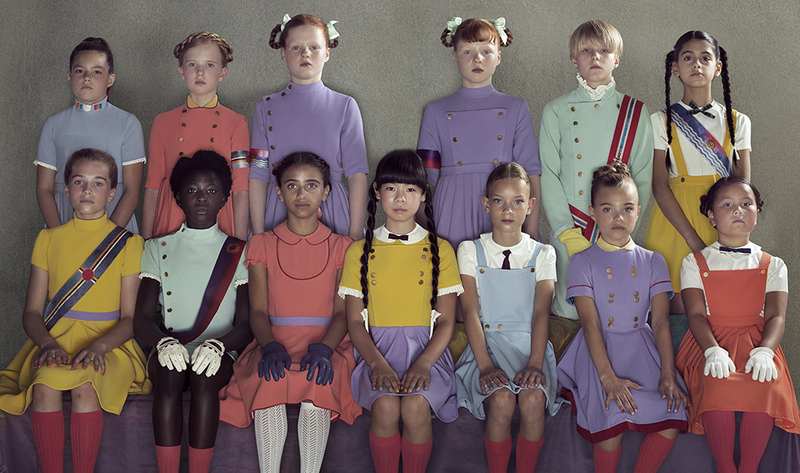 The first single of the album, Little Dolls is released. Indochine is recording a live session for Apple’s iTunes on january 10. The name of the upcoming album is unveiled : La République des Meteors. The videoclip of Little Dolls is broadcasted on TV. La République des Meteors is released on march 9. Play Boy, the second single of the album is unveiled on indo.fr. 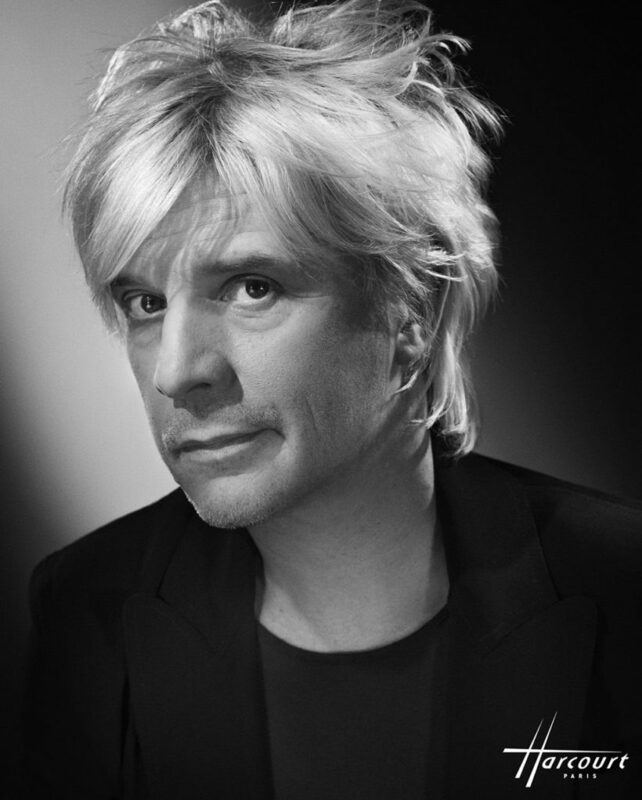 On june 26, Indochine performs at L’Olympia. The band flies to Canada, to perform to Le Festival International de Québec, on july 14. La République des Meteors 3rd single, Le Lac, is broadcasted on radio. The video is unveiled on september 18. The Meteor Tour starts on october 6. A show in Paris (Bercy) is scheduled for the next year. The video of Un Ange à ma Table is shot. It is unveiled on indo.fr on january 30. 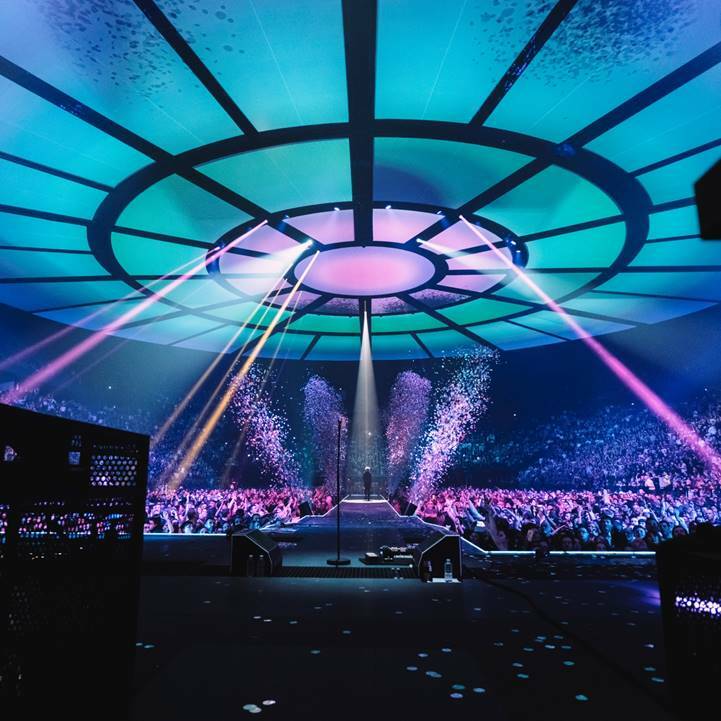 Indochine’s Meteor Tour Acte II restarts in Rouen on march 5, and ends on april 19 inBrussels. At the beginning of the month, RollingStone magazine released a special issue, called Dans les backstages du Meteor Tour. On June 21, the live Le Meteor sur Bruxelles is released (Digital only). The giant show at the Stade de France (aka Putain de Stade) gathers more than 80 000 people, on june 26. Indochine performs on four festivals : Les Vieilles Charrues, Musilac, Paléo and La Foire aux Vins. On august 17, the video of Le Dernier Jour is released. 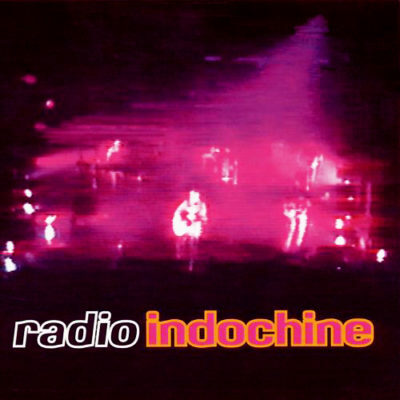 On september 2, Indochine is the last band to perform at La Maison de la Radio’s Studio 104, in Paris, before its closure. The Meteor Tour ends in Paris Bercy on september 15. Melissa Auf der Maur joins the band on stage for the song Le Grand Secret. Two books are released : Les Petites Notes du Meteor Tour and Indochine, Le Livre. The band is working on the Putain de Stade CD/DVD. 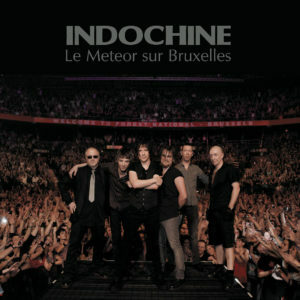 On december 8, Indochine announces 6 last shows for january 2011 : the Meteor Club tour. On january 17, Putain de Stade, the live at the Stade de France, is released (CD, DVD, BLU-RAY and Digital). It reaches the top DVD/CD sales in France, Belgium and Switzerland. 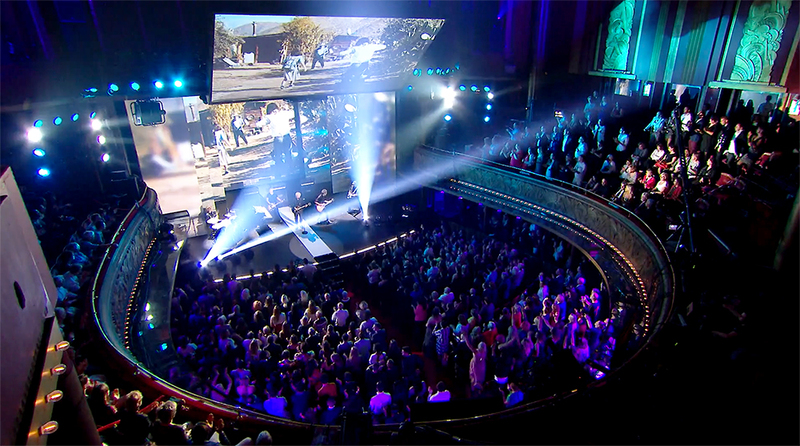 During Les Victoires de la Musique, an Award of Honour is offered to the band. The DVD Putain de Stade becomes double platinum. Following the Tsunami in Japan, the band releases a non-profit single of Un Ange à ma Table (duet with the japanese singer Amwe). The collected sums are transferred in integrality to the Red Cross. On june 11, Nicola and oLi take part in the retrospective of Indochine’s videos in Divonne-les Bains (Festival du Clip). On september 29, several announcements are made : the release of the Paradize +10 album for the next year, a future album and a tour. The new indo.fr is unveiled. On november 23, the band unveils the Paradize +10 shows : 2 concerts in Paris (Le Zénith) on february 1+2, 2012. Songs from the album Paradize will be performed. On december 10, exclusive live performances + 1 interview of Nicola are posted on the Figaro newspaper. On February 1+2, the band performs at the Zénith (Paris, sold-out) to celebrate the 10th anniversary of the album Paradize. 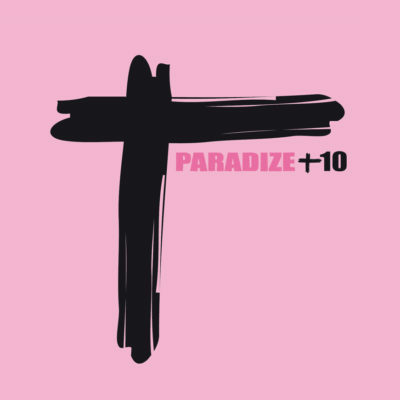 Paradize +10 is re-released on february 13 with numerous bonus contents. 5 tracks LP’s Davout Session will follow on feb. 28. On November 15th the single Memoria is released on iTunes, Amazon…. On the same day, the band announces the release date of the upcoming album (february 11th, 2013) and the name of the tour to come, The Black City Tour. On november 27th, the name of the upcoming album is unveiled : Black City Parade. As almost BCT shows are sold-out, new concerts are added on december 10th. Memoria, the video, is broadcasted on TV. 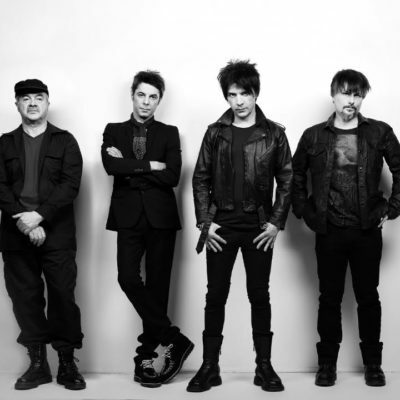 Indochine performs live at France 2′s Taratata on january 16. Following the success of the tour (+200 000 tickets sold), new shows are added. The album Black City Parade is released on february 11. It reaches the top of the charts in France, Belgium and western Switzerland. The Black City Tour 1 starts in Nancy. Black City Parade becomes platinum in France and gold in Belgium. College Boy is announced as second single of the album. On april 3, a press conference is held in Brussels. Indochine announces a new giant show at the Stade de France, for june 2014 + a new serie of concerts added. The video of College Boy, directed by Xavier Dolan, is released on may 2. At the end of the month, Indo flies to Quebec to perform in Montreal (Centre Bell). On june 3, tickets for le Stade de France are on sale (teaser). On 24/9, Black City Parade – le film, a documentary on the creation of the album is released (DVD/Blu-Ray/VOD). The Premiere of the projection is held in Paris’ Le Grand Rex, on june 23, with the band, followed by a surprise live performance in the street, in front of the theatre (teaser / photos). 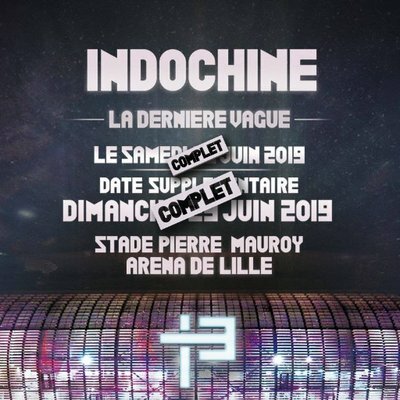 Indochine is the #1 ticket sellers in France and Belgium for the Black City Tour and the show at the Stade de France, also #1 sales of DVD for Black City Parade – le film. On july 8, Indochine performs in Arras (Main Square Festival) on july 8. The video of Black City Parade (dir. Richard Kern) is released on september 20 (making-of). On october 20, on TF1’s evening news edition, Nicola announces a 2nd show for the Stade de France (june 28, 2014). Some days after, the first Stade de France (june 27, 2014), is sold-out. The Black City Tour 2 restarts in Amnéville on october 11. The EP Black City Parade is released on november 4 (Digital / CD / Vinyl). At the beginning of january, College Boy, is awarded best french video of 2013 (Pure Charts). On january 14, Black City Parade is named among the best rock albums of the year at Les Victoires de la Musique. On january 17, Belfast is announced as next single of the album. Following the devastations made by the typhoon Haiyan in the Philippines, the band decides to set up a non-profit action called Help for the Philippines, by selling exclusive t-shirts, raising the sum of 8 425€ for the victims. 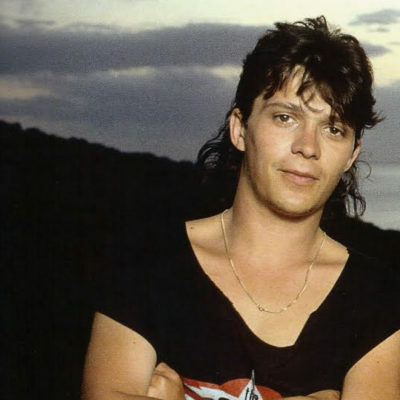 On february 14, Indochine performs College Boy at Les Victoires de la Musique. The band announces its participation on some summer fests (Carhaix’s Vieilles Charrues, Colmar’s Foire Aux Vins and Argelès’ Déferlantes). On february 21, the video of Belfast is released. On feb 28, Nicola and oLi inaugurate the Indochine Studio in Virgin Radio (Paris). The Black City Tour 3 starts in Brussels (Palais 12) on march 12. On march 28, a free show takes place in Paris (La Cigale). From then on, the band is entirely devoted to the 2 gigs at the Stade de France, many rendez-vous are held with the different protagonists. 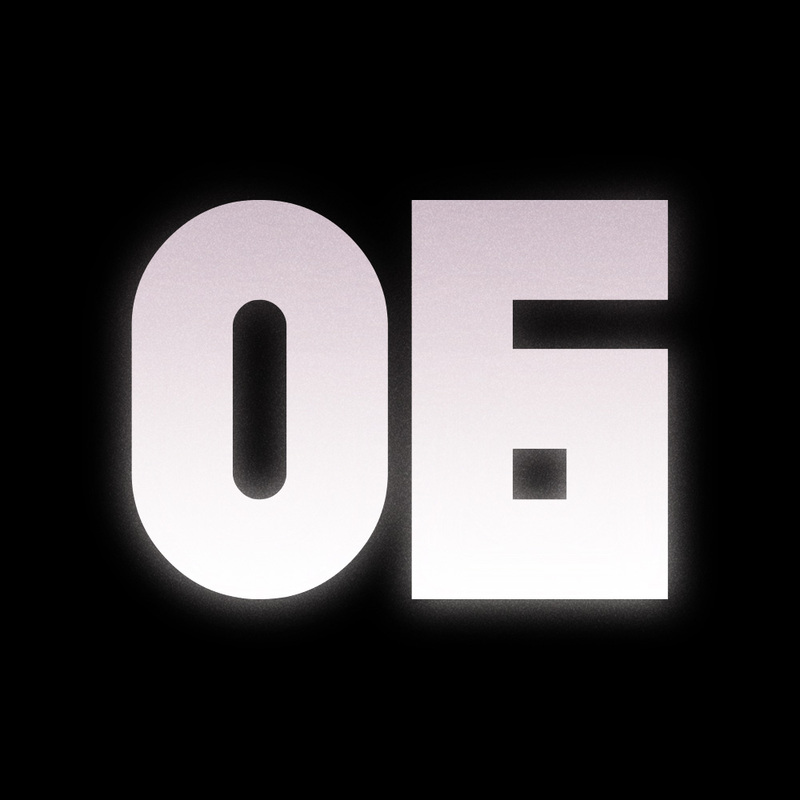 On may 5+6, the video of Traffic Girl is shot, a new mix of the single is also announced for may 19 (iTunes exclusive). On may 12, the band announces a new gig, at London’s Shepherd’s Bush Empire, for july 14, 2014. On may 13, a new teaser for the Stade de France is unveiled, called #EuhC’estADire ?. On may 17, the band flies to Cannes for the Festival, and performs Traffic Girl + Black City Club on Canal+’s Le Grand Journal TV show. On june 23, the Black City Box is released (limited ed. Digipack, with the BCP album + remixes, BCP The Movie, videos and unreleased contents). On june 25, Nicola took part at TF1’s Qui Veut Gagner des Millions ?, with Claire Chazal, the duet raise the sum of 48 000 € for the association Le Refuge. 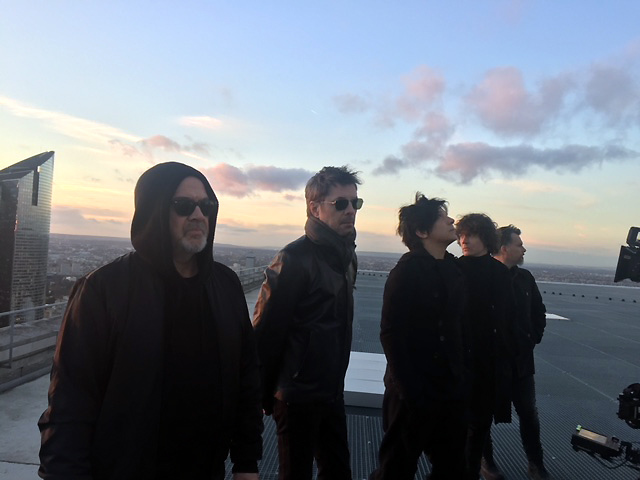 On june 27+28, Indochine performs at Le Stade de France in front of +120 000 people (pics + videos). On july 7, the band performs at Argelès Les Déferlantes, then in London (Shepherd’s Bush Empire, on july 14, first show in UK). 2 songs are performed live for the first time : Lips Like Sugar from Echo and the Bunnymen and I Wanna Be Adored, from The Stone Roses. The London show ends with Dizzidence Politik (pics and videos). On july 17, Indochine performs at Carhaix’s Les Vieilles Charrues (pics) and Colmar’s La Foire Aux Vins, on aug. 9 (pics + videos). From the end of august, a webserie on Le Stade de France is unveiled on indo.fr. 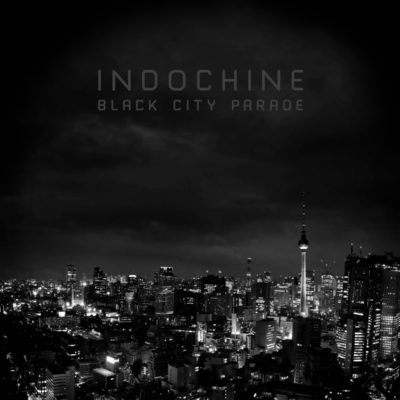 On September 19, Indochine is being offered a double platinum disc for Black City Parade. 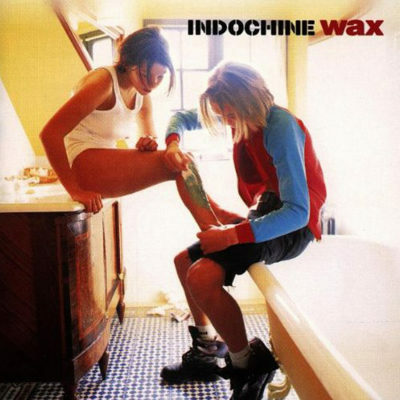 On the same day, the label Indochine Records is unveiled. The band works on the upcoming CD/DVD of the Black City Tour. On november 26 + 27, 2 BCT Premieres are held in theaters with the band (Mons and Paris. Replay). On december 1, the BCT is released (CD/DVD, BLU-RAY and Collector box). Indochine is offered a reward for The most spectacular tour of the year (Le Parisien newspaper). On december 18, the show at the Stade de France is broadcasted on TV (France 2). 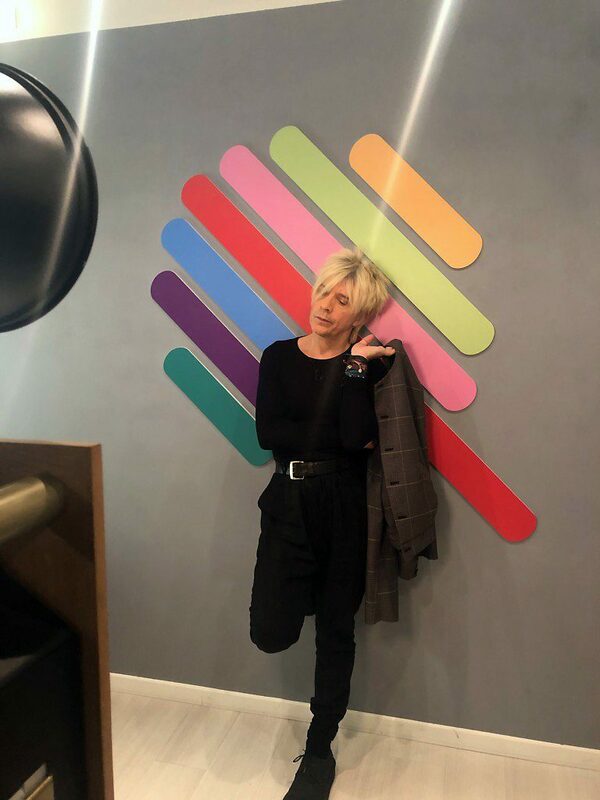 From april 4 to 18, Indochine performs sold-out in 8 european cities : L’Europe City Club Tour : Barcelona (Apolo, photos & videos), Milan (Fabrique, photos & videos), Berlin (Postbahnhof, photos & videos), Copenhague (Lille Vega, photos & videos), Stockholm (Nalen, photos & videos), Oslo (John Dee, photos & videos), Anvers (Trix , photos & videos) and Amsterdam (Paradiso Noord, photos & videos). 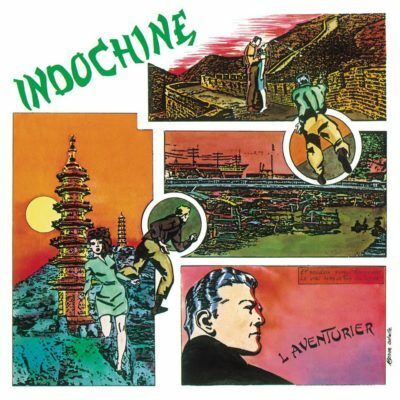 On april 18, Indochine announces the reissue in Vinyls of the albums L’Aventurier, Le Péril Jaune and 3. Later this year, also reissues for 7000 Danses, Le Baiser, Un Jour Dans Notre Vie, Wax, Dancetaria and Paradize. 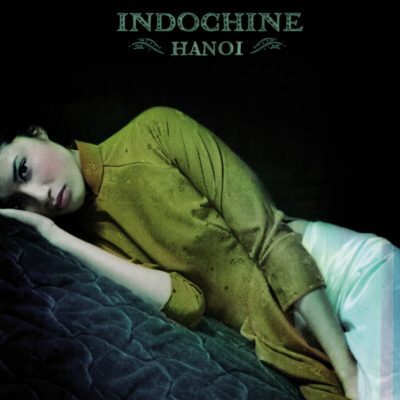 On July 10, Indochine joins the streaming platform Tidal. 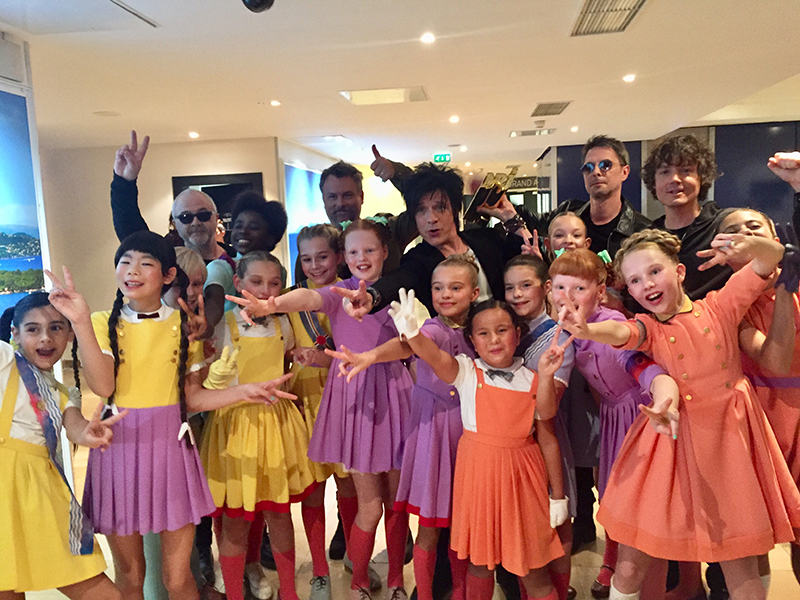 On october 20, Indochine performs at Tidal’s X: 10/20 charity concert, in New-York (pics). On december 4, the live performance at the Stade de France, Black City Concerts, is released. An exclusive screening with oLi and Nicola is held in Mons, Belgium, on the night before. 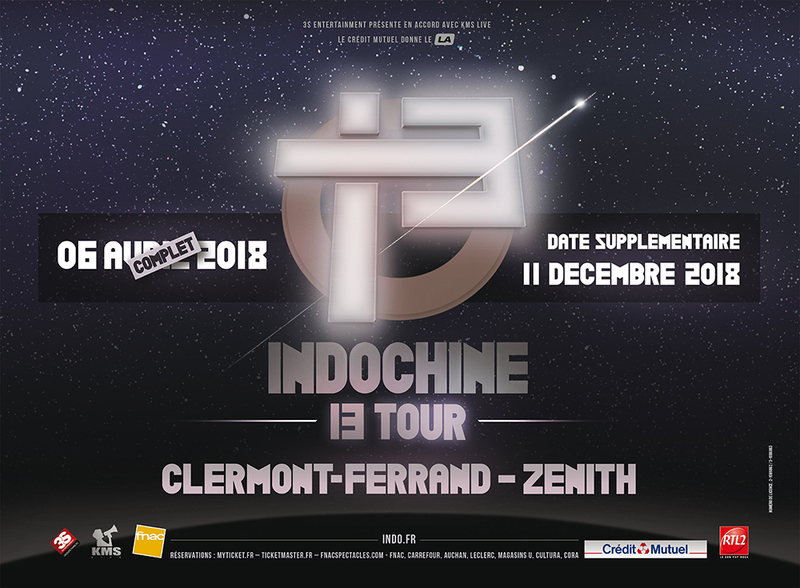 Indochine also unveils an unique and exceptional concert in Paris (Le Trianon) on december 9 (video). 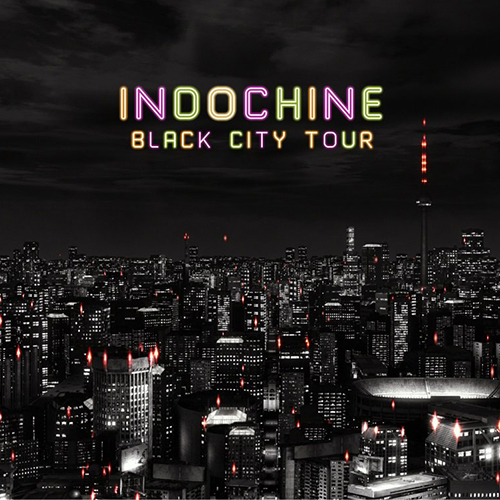 On march 4, Indochine’s Black City Tour is broadcasted on TV (D17). 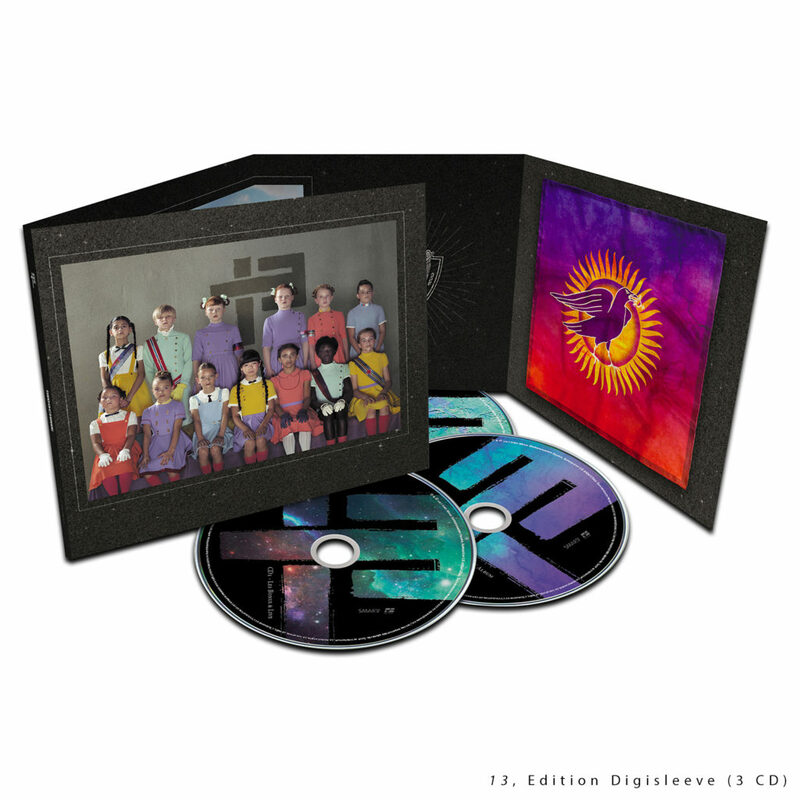 On april 15, the albums Wax, Dancetaria and Paradize are reissued (Vinyls). A new website is created, Indochinerecords.com. On may 20, Indochine performs in Saint-Laurent-de-Cuves (Papillons De Nuit fest., photos). On june 24, Alice & June, La République Des Meteors and Hanoi are reissued (Vinyls). On july 6, the band performs in Liège (Festival des Ardentes, photos/videos). On july 7, Indochine’s Road Tour Film, a documentary on the Europe City Club Tour (2015), is released on Tidal. 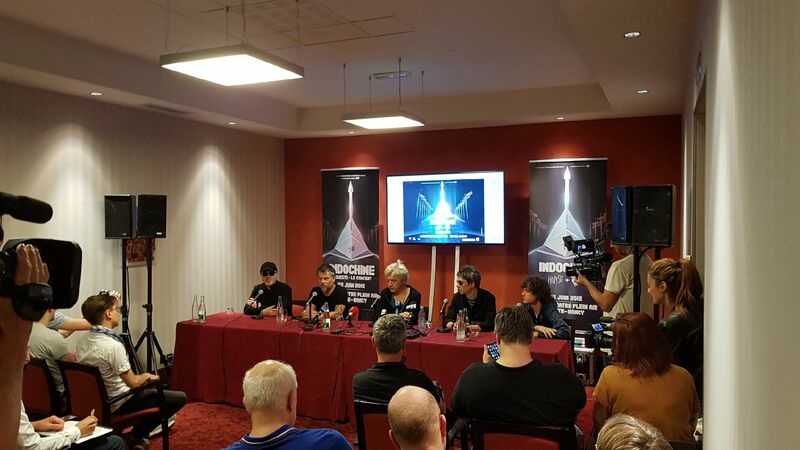 On july 15, Indochine performs in Carcassonne (photos/videos), then Sion Sous Les Etoiles (july 18, photos/videos), Poupet (july 22, photos/videos), La Fête Du Bruit (august 12, photos/videos) and Cabaret Vert (august 25, photos/videos). The band is fully concentrated on the upcoming album. 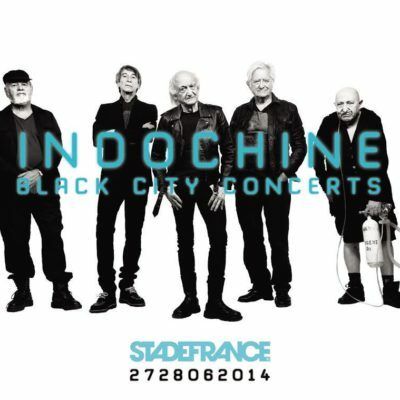 Indochine’s Black City Concerts (Stade de France 2014 shows) is broadcasted on TV (France 2). The band is working on the new album. Indochine supports The Hummingbirds Project in a charity auction, by selling an acoustic guitar belonging to Nicola, with the band signatures, for the benefit of terrorist victims associations and funding of civic and solidary projects. 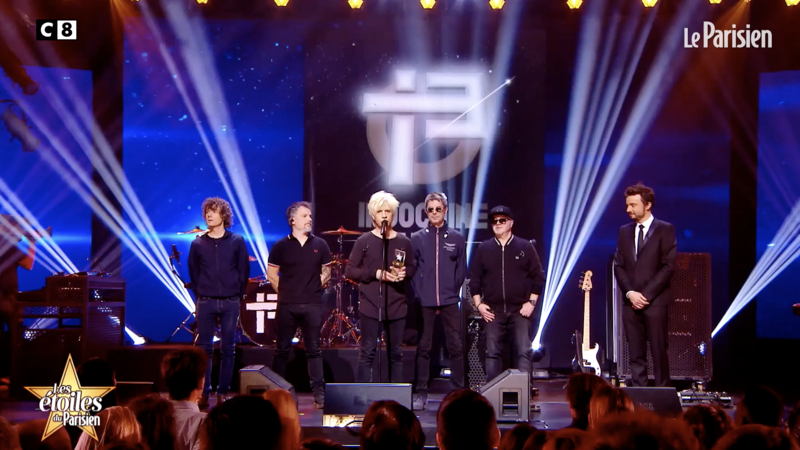 On june 8, Indochine performs its brand new single La Vie est Belle on TMC‘s Le Quotidien TV show. Nicola unveils the release date of the album, for 9/8, and a new tour for 2018, called 13 Tour. On june 21, tickets for the 13 Tour are on sale. The day after, more than 100.000 are already sold, huge success ! many concerts are sold-out. I wanted to heartily thank you for the greeting you reserved to « La vie est belle » and to the 13 tour. You are always by our sides and it gaves us a lot of emotion and it is also very impressive. Marc, oLi, Boris, Ludwig and I can’t wait to make you discover this 13th album, and to meet you on the roads. It is really close now. For more than 900 days we have been working and thinking about this, probably like we never had, the album will occur this 8 of September. 13 tracks, and 2 more, that to say, 15 new bewitching songs. Within a few weeks, I will come back here, to describe you the tenor. For the moment, we already are preparing this new tour. Without unveiling everything, we can already tell you that we have been working on something rare and even more impressive than on BCT. You all know our loyalty and ethics regarding the tickets’ price, and it won’t change. However, what changes today, is that we had to implement two rate, one for the standing area and another one for the bench, and numbered places for these last one. It is a method that we’ve never experienced before, but there are some reasons for that. First of all, our period has changed, unfortunately, and not in the good sense. For security reasons, frisking, etc, there is no way we can live 7000 people each evening waiting too long in front of the concert hall. Therefore, there will be several waiting line and no need to come up so early to access to the show. This will permit us to manage you safely. We received a lot of demands from you on that point. On how can you manage to come to the show without stress and within the certitude of having your spot. You know that we always refused the outbidding and money selection for our shows. Namely, the more you pay, the more advantages you have (corner vip, early entrance). It is not our way to conceive, what should be a concert. It is a moment, a space of freedom, of shared emotions, and of strong fraternity, like this world don’t give us much now. So this system won’t be applied to the 13 tour. On the other hand, we decided to create a special zone (the 13th zone) where more than 400 of you from the standing area , each night will be chosen randomly (on each sold ticket of the pit a special code has been print ) and will be place really close to the stage, (not to say, on the stage…). It will be a kind of lottery where everyone will have his right, his occasion, not to say chance. But be careful, even those who won’t be chosen, wherever you will be, you won’t be forgot or injured. At the time, I’m writing, all the websites, which sell tickets for this tour are saturated. Thanks to all. Be patient, we are coming. On augsut 18, the video of La Vie Est Belle (dir. Asia Argento) is released. 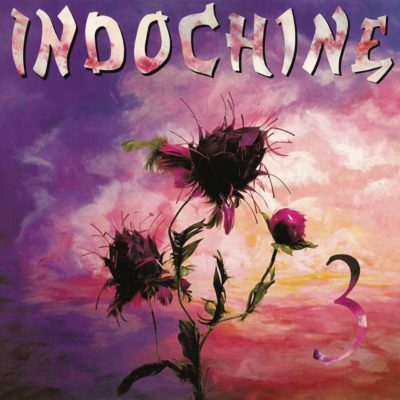 On august 24, Indochine begins promoting 13 (replays). 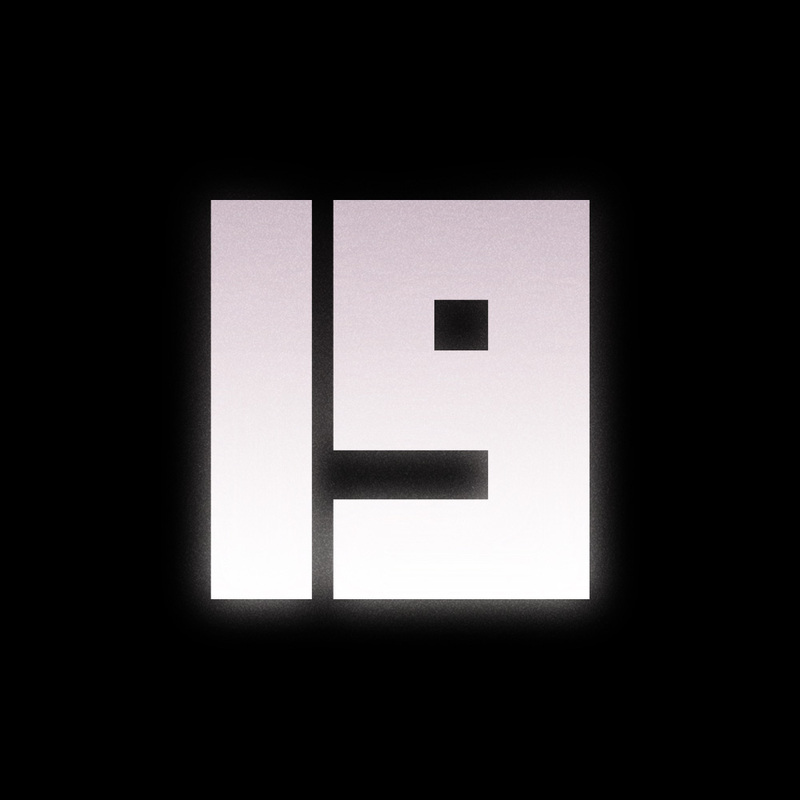 On september 8, the album 13 is released. Following the release of 13, an exceptional exhibit takes place in Paris (Galerie Rabouan Moussion, 11 rue Pastourelle 9/9-23). 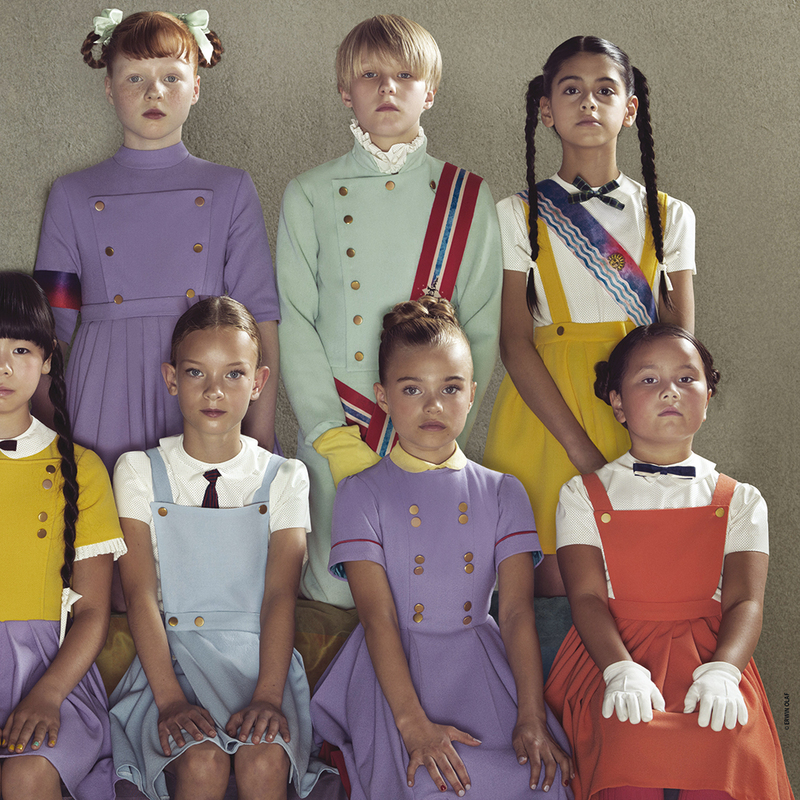 Pictures from Erwin Olaf (photographer of the album cover), and a making-of from the shooting are highlighted. 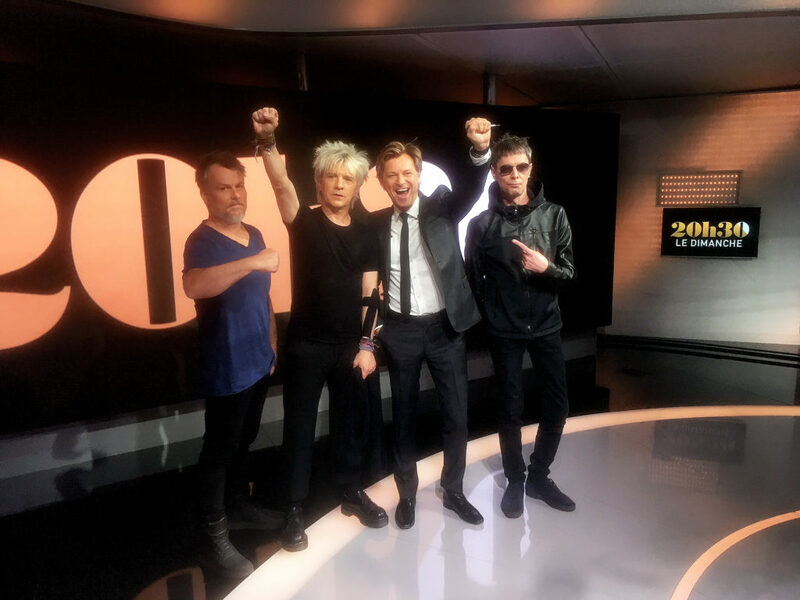 On september 13, Indochine performs 2 live performances on TMC‘s Le Quotidien show : the song 2033, + a 30min exclusive set, broadcasted after the show. On september 14, a secret gig is held in Brussels (Bruxelles-Midi station). Célie (who won a contest some days before), is performing with the band. 13 goes gold in Belgium in one week. It reaches also #1 sales. 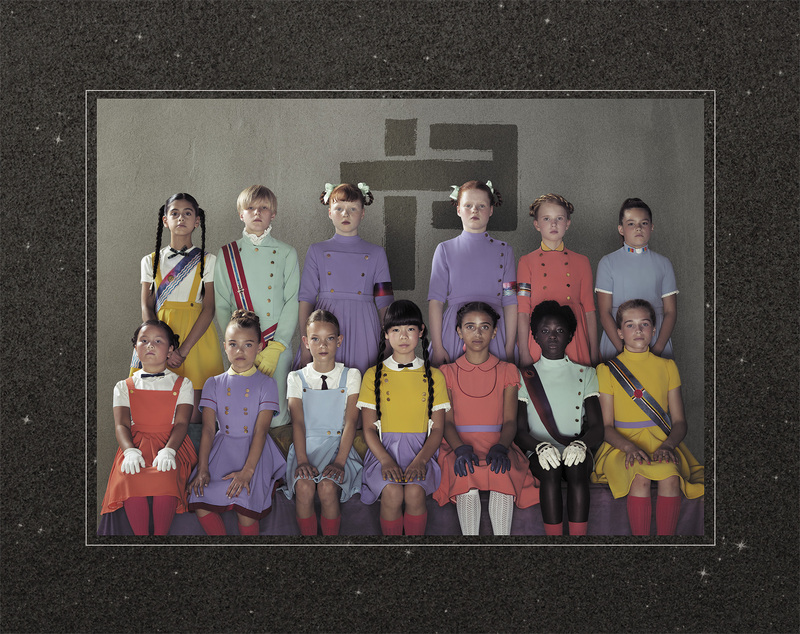 Two weeks after its release, 13 goes platinum, with more than 100.000 copies sold ! 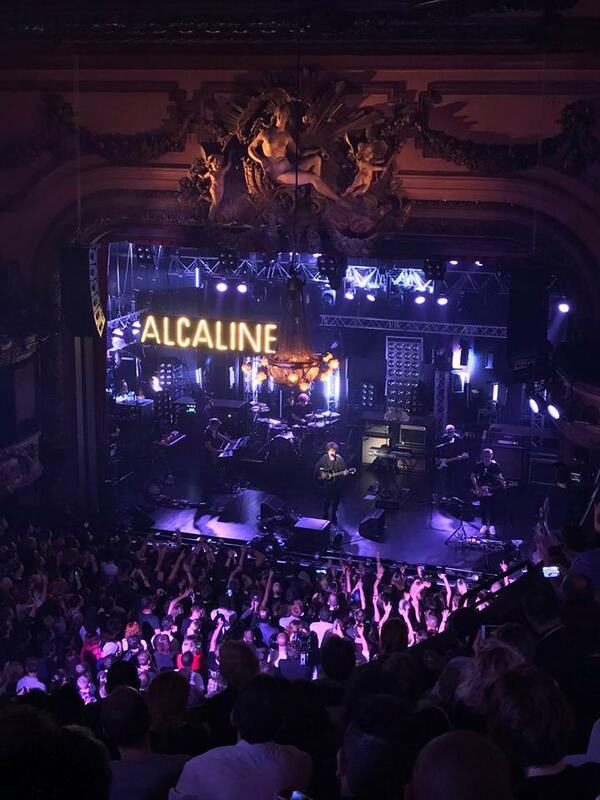 On october 26, Indochine performs the Concert Alcaline in Paris (Le Trianon). On november 4, Indochine attends the TV show NRJ Music Awards in Cannes. The band performs La Vie Est Belle, and is also offered an Award of Honour. On novembre 23, new concerts are unveiled : an open-air show with guests at Nancy’s Zénith (june 23, 2018). 4 shows on summer fests : Festival 13 Tour, and 9 more concerts added to the tour : 13 Tour, 2ème Vague (fall 2018). Tickets on indo.fr, Fnacspectacles.com, Myticket.fr, Ticketmaster.com, Accorhotelsarena.com + Fnac, Carrefour, Auchan, Leclerc, Magasins U, Cultura, Cora, Digitick), and fest. websites. On december 12, shooting of the video Un Eté Français (La Défense, Paris). On december 16, the band is offered a double platinum for 13, for more than 200.000 copies sold ! On january 2nd, the opening bands of the tour are announced : Requin Chagrin and Grand Blanc. Toybloïd will perform in Paris (AccorHotel Arena) on 2/18. 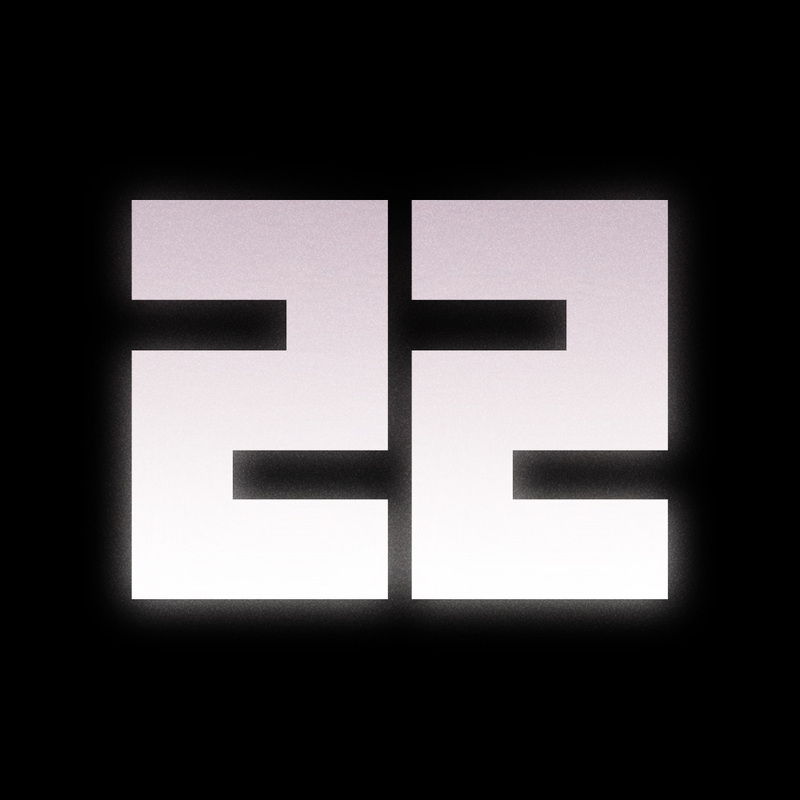 On january 12, the teaser of the video Un Eté Français is unveiled. At the end of the month, Gloria and Station 13 (from the Alcaline concert) are named videos of the week. On February 4, Karma Girls (Alcaline concert) is also featuring as video of the week. 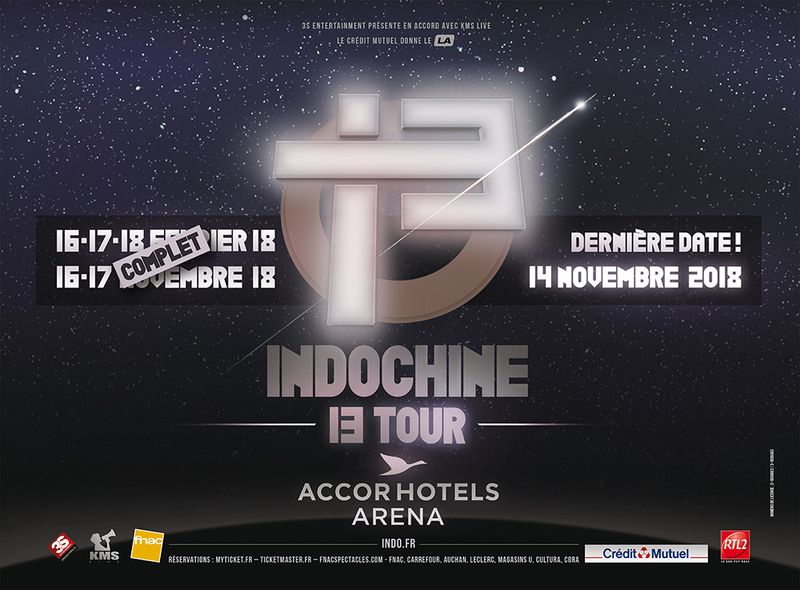 Indochine’s 13 Tour starts on february 10 in Epernay (photos). On february 11, as the 4 AccorHotels Arena (Paris) are sold-out, a new one is added, on november 16 ! 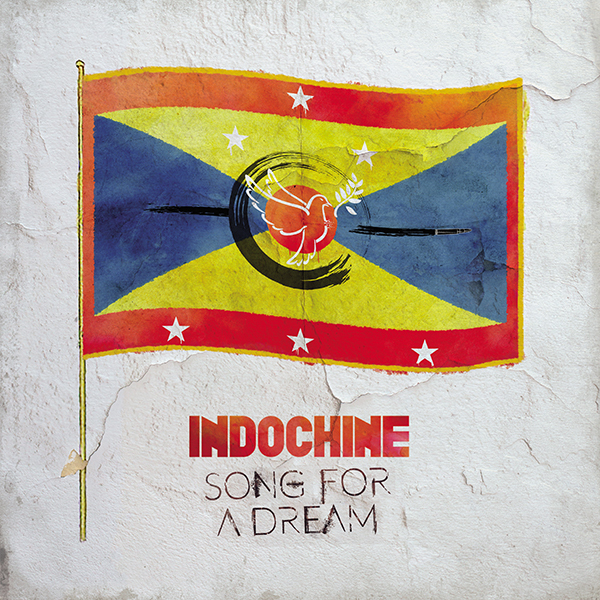 On February 23, Indochine unveils its new music video, Un Eté Français (directors Clément Chabault & Nicola Sirkis). 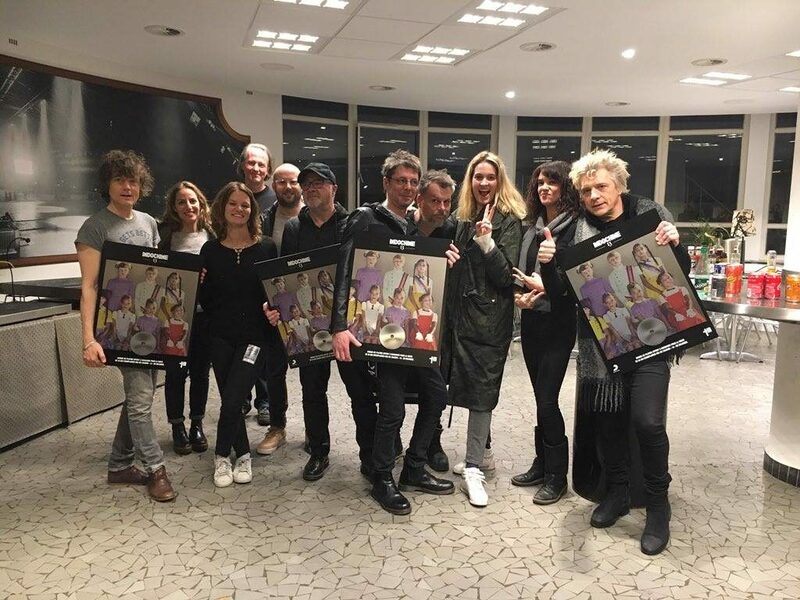 On march 17, after the concert in Brussels Palais 12, Sony Music belgium offered the band a platinum disc for the album 13. Mid-April, Asia and Nicola are in Roma, to record the italian version of Gloria. 13 goes platinum, with more than 300.000 copies sold in France ! 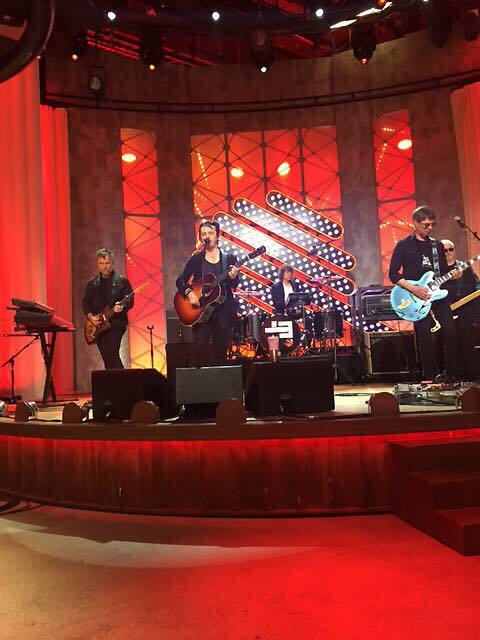 On june 20, Indochine gives an intimate concert in front of 100 people (RTL‘s Grand Studio – replay). On June 23, open-air concert in Nancy, with live performances from HollySiz, Dream Wife, Asia Argento and Toybloïd‘s Lou (videos + photos). At the end of the concert, Nicola unveils a very last show for the tour : Amnéville, on December 21 (tickets). On june 24, Nicola gives an interview to Laurent Delahousse’s 20h30 Le Dimanche. Station 13 (acoustic version) is performed (replay). The video of Gloria (french + italian versions, featuring Asia Argento) is shot during the night of june 24. 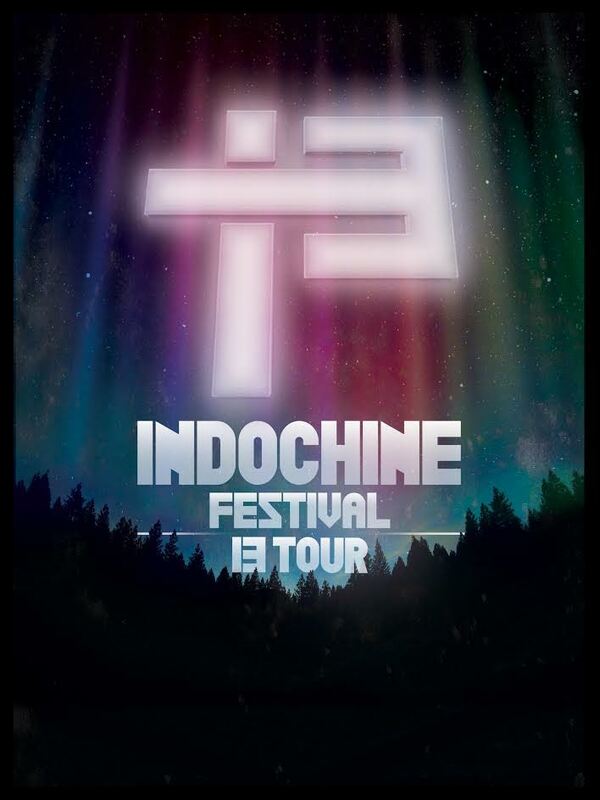 On june 28, Indochine begins its Festival 13 Tour. First show in Marmande (GaroRock – photos). The band also performs at : La Fête du Bruit (july 7 – photos), Festival de Nîmes (july 13 – photos), Musilac (july 14 – photos), Paléo Festival (july 22 – photos) & Colmar’s Foire aux Vins (july 27 – photos). 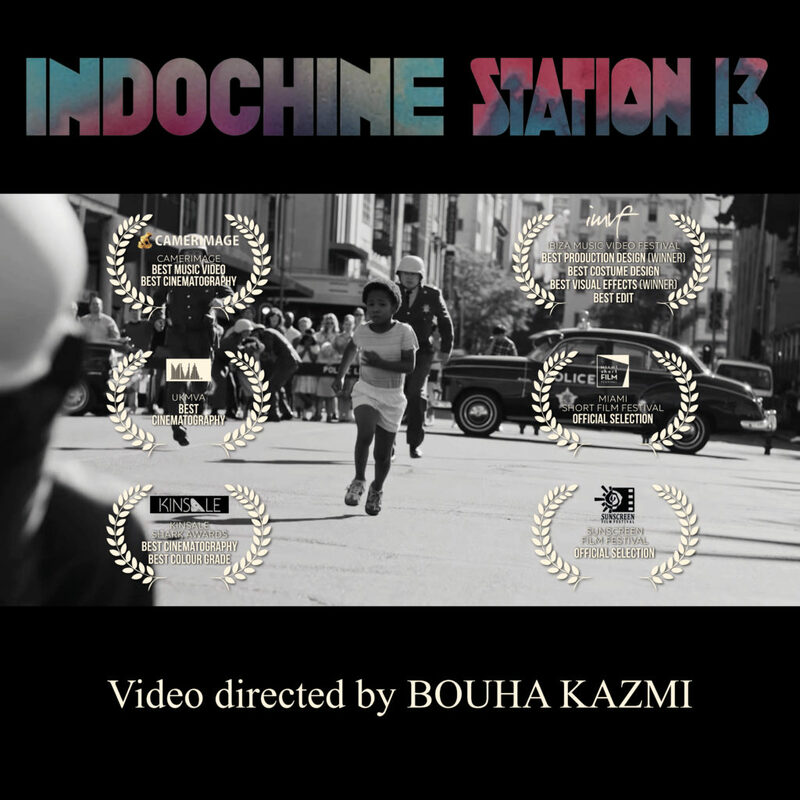 July 19 : release of the Station 13 video, directed by Bouha Kazmi. Exclusively screened on the CGR theaters from july 11 to 17, then on Tidal (july 18+19). On YouTube, from july 20. Nicola écrit et enregistre un titre, Sophie et Souris, pour l’exposition Souris Calle, de Sophie Calle, pour une exposition à la Galerie Perrotin, en octobre. September 13 : release of the single & music video of Song For A Dream, directed by Cristián Jiménez. On the same day, Nicola is interviewed on RTL radio (Stéphane Bern’s A La Bonne Heure), Replay. 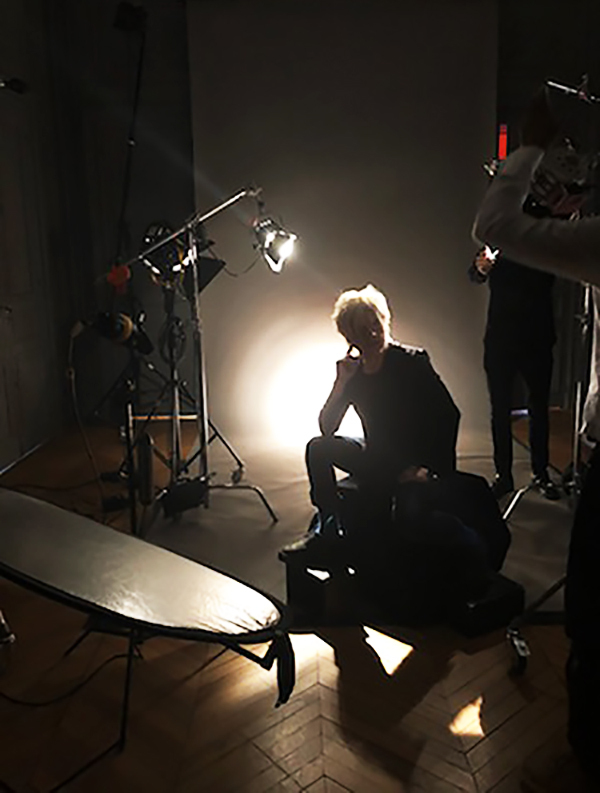 On october 5, Nicola poses for the legendary studio Harcourt. 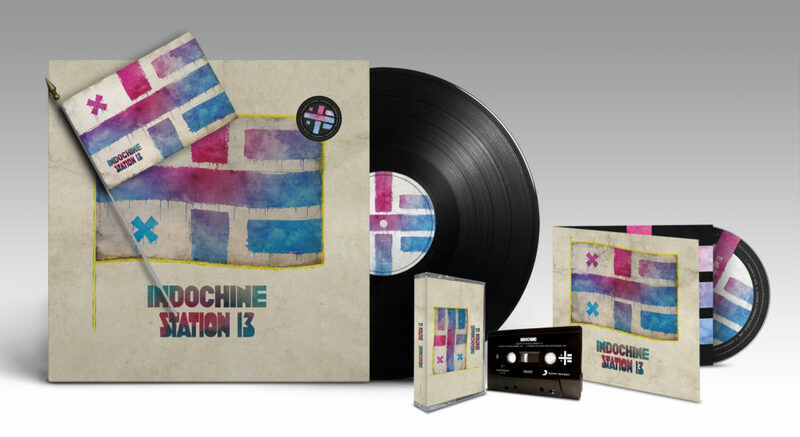 On october 11, 2 new reissues of Indochine’s 13 (limited ed.) are unveiled (more). On october 12, Nicola, oLi and Boris are the guests of Emilie Mazoyer’s Musique !, on Europe 1 radio (replay). 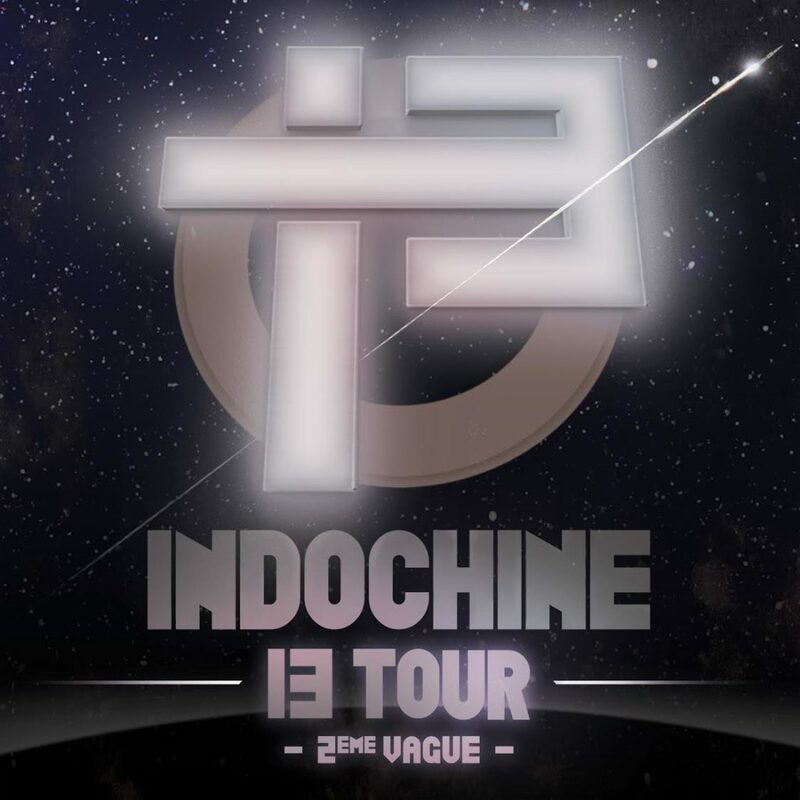 On october 13 : new tickets for Indochine’s 13 Tour 2ème Vague are sold in order to fight the black market (more). On october 13, the band performs on Jean-Paul Gaultier’s Jean-Paul Gaultier Fait Son Show, on France 2 TV. Replays : Song For A Dream, 3e Sexe + interview (from 14:10). On october 20, Station 13 (video directed by Bouha Kazmi), wins several Awards in Ibiza’s Festival du Clip. Others will come after. 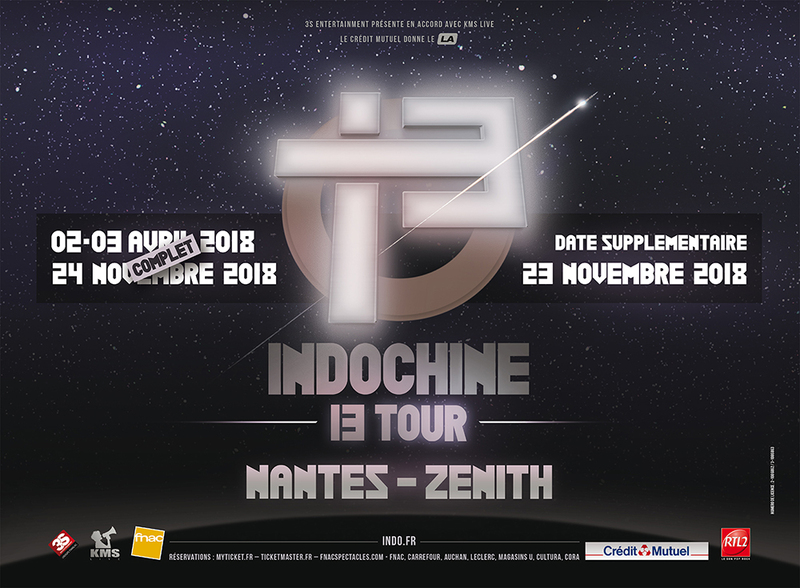 Indochine’s 13 Tour, 2ème Vague continues in Rouen’s Zénith, on november 1rst (photo/videos). The Maxi Single of Song for a Dream (CD, Audio tape and Vinyl) will be released on december 7 (available to pre-orders). The tour continues in Brussels, on november 3 (photos/videos) and 4 (photos/videos), Toulouse (11/08, photos/videos), Bordeaux 11/10, photos/videos). On november 12, Nicola is the guest of Yann Barthès’s Quotidien, on TMC TV (Replay). 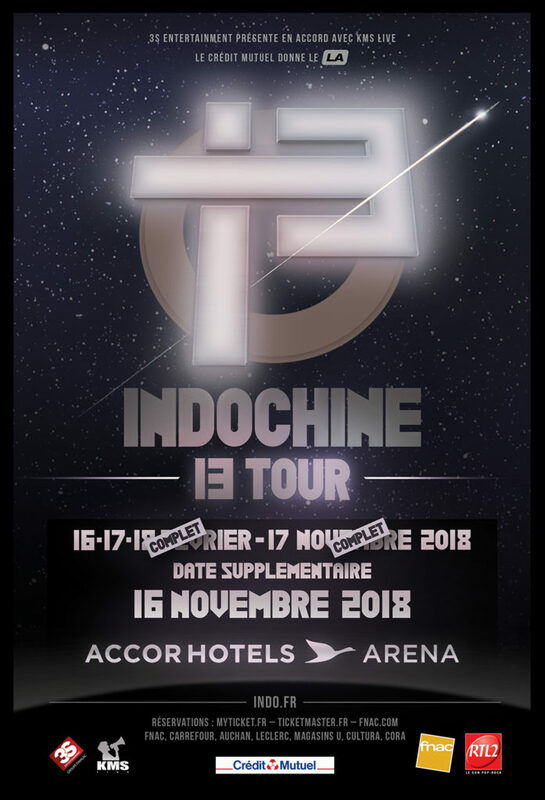 On november 14, 16 and 17, Indochine performs in Paris AccorHotels Arena, all sold-out. (11/14, photos/videos). The 16/11 gig is broadcasted live on TMC and RTL2 (Photos/videos), 11/17 (Photos/videos). 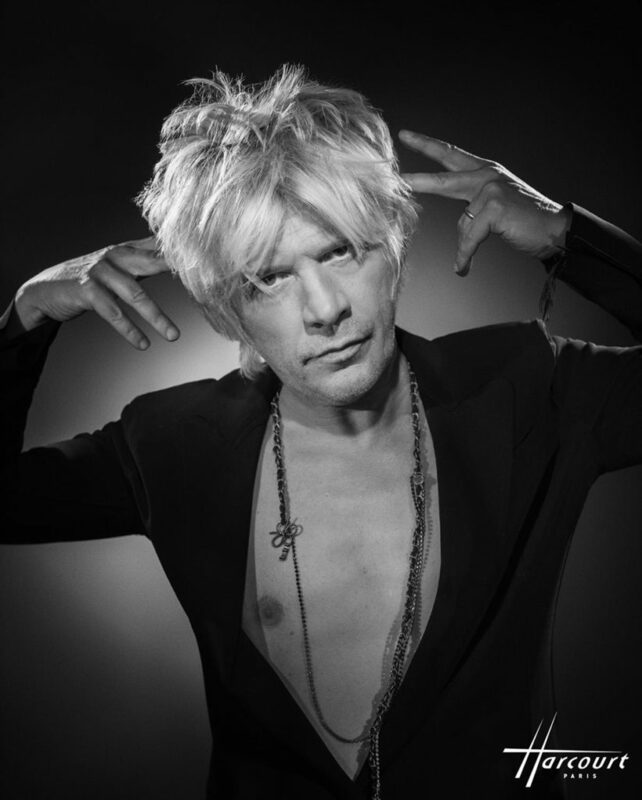 On november 17, after the last gig in Paris, Nicola is given his 2 portraits by Harcourt. Indochine performs in Dijon on 11/21 (photos/videos), Nantes (11/23, photos/videos + 11/24 photos/videos). 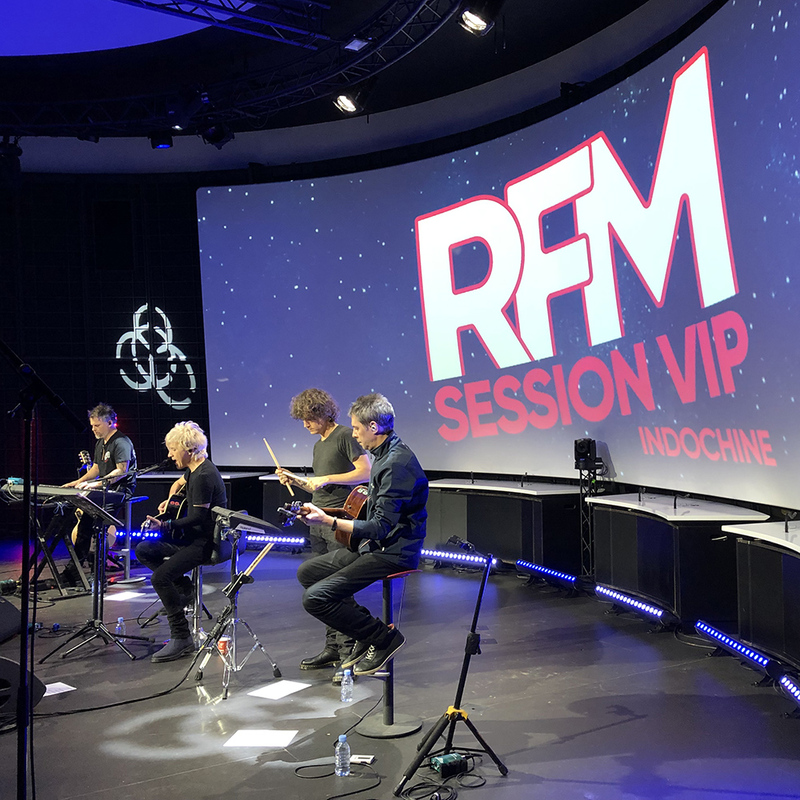 On november 28, Indochine performs an acoustic session for RFM, following the radio’s studios grand opening (replay). 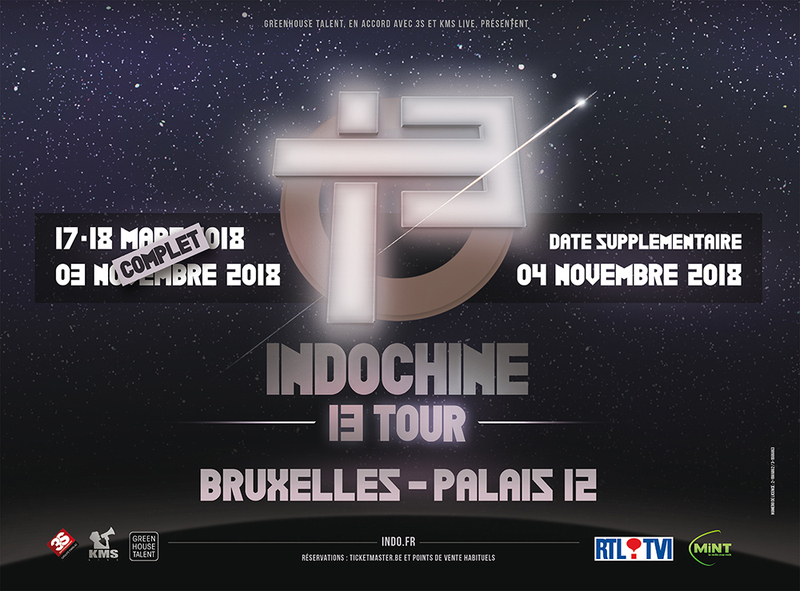 On december 1rst, Indochine’s 13 Tour lands in Strasbourg (photos/videos), then Lille (december 5, photos/videos). 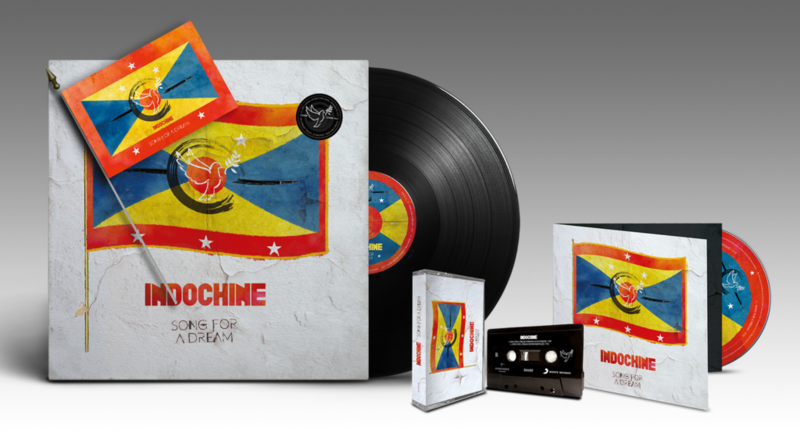 On december 7, release of the Maxi Single of Song For A Dream (CD, audio tape and Vinyl, including an exclusive flag). More. On december 8, Indochine performs in Lyon (photos/videos). On december 9, Nicola and Asia Argento are the guests of Mouloud Achour, on Clique TV (replays : Nicola’s interview – Asia’s interview). On december 10, Nicola is rewarded with Sacem’s Grand Prize for French Song (creator-performer). Replay. On december 11, the band performs in Clermont-Ferrand (photos/videos). On december 13, Nicola is interviewed on CliqueTV (replay). 400.000 copies of 13 are sold ! 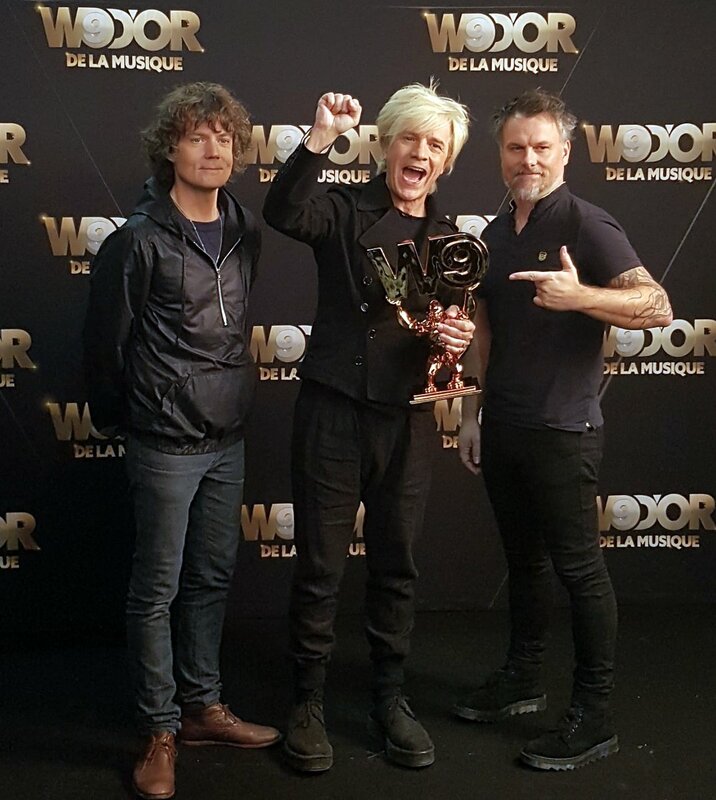 On december 20, Indochine is given the W9 d’Or award, for the best tour of the year. On december 23, L’Etoile du Parisien (best tour of the year) is given to the band (replay). 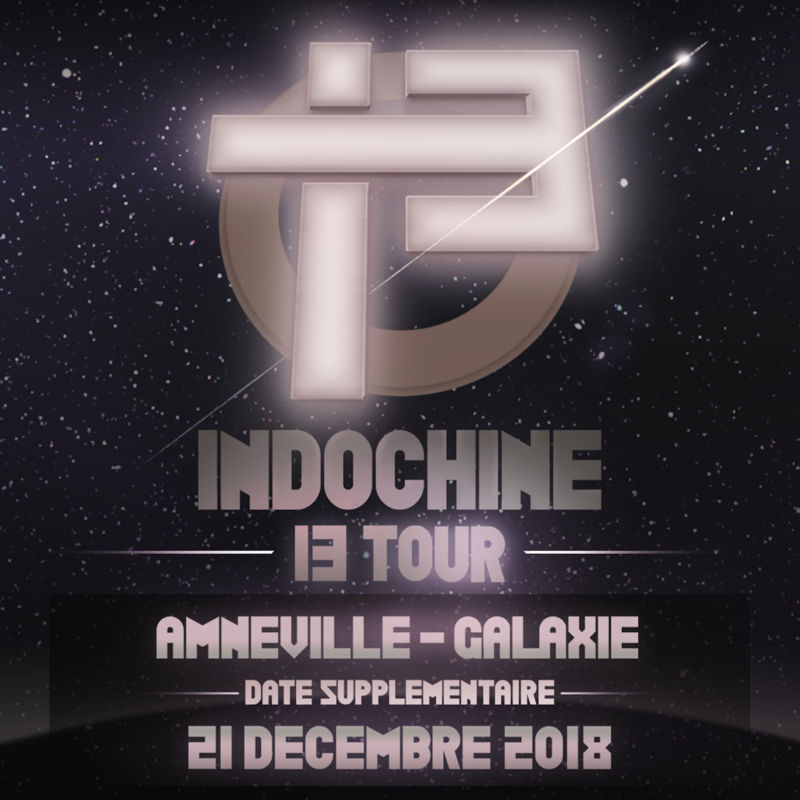 Indochine’s 13 Tour takes off for the last time in Amnéville, on december 23 (photos/videos). On december 31, Song For A Dream (exclusive acoustic performance) is released. Edit available on the Maxi Single of the song. On January 24, the mysterious event is finally unveiled : La Dernière Vague. 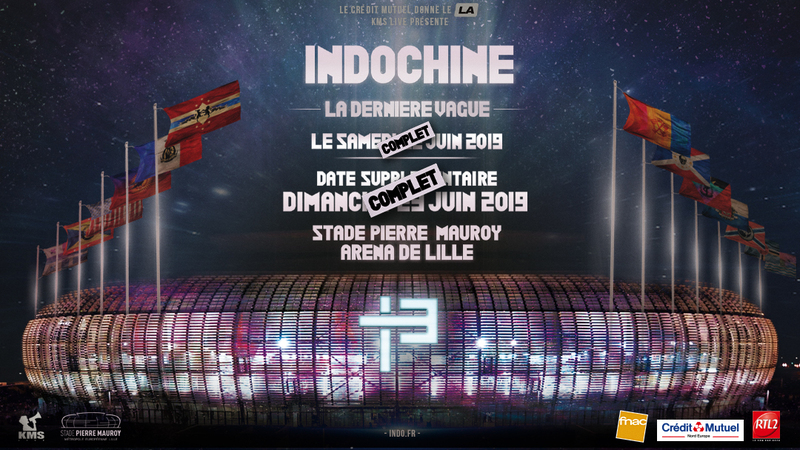 Indochine will perform at Lille’s Pierre Mauroy stadium, on june 22, 2019 ! January 29, the music video of Gloria (italian) feat. Asia Argento, is posted on our websites. La Dernière Vague : Following the huge success of the event (June 22 gig sold-out in a few hours), one more show is added on June 23, also sold-out very quickly ! In order to fight the black market, 500 tickets will be sold (for each show) a few weeks before the gigs. On January 31, Nicola is the guest of France 5‘s C à Vous. At the end of the show, Nicola and oLi perform Song For A Dream. On February 22, 13 (Digifile ed. at lower price) is released. More. 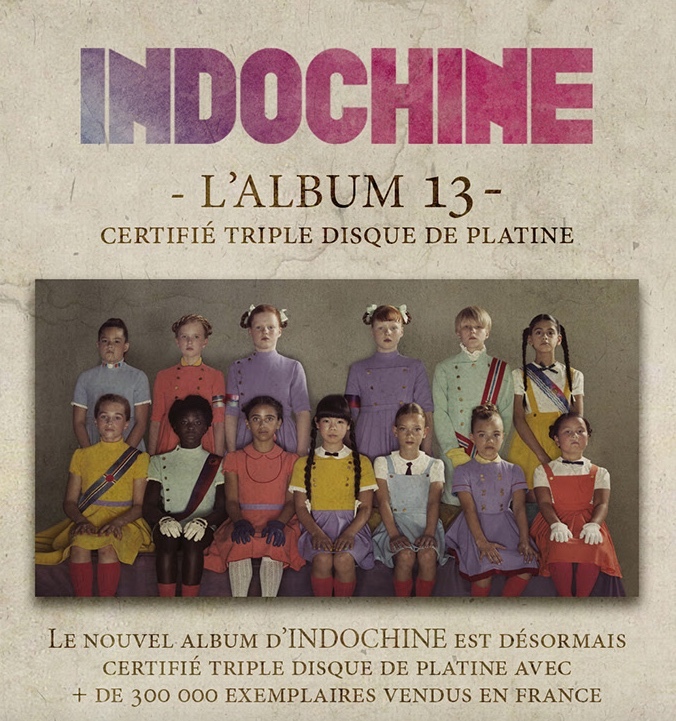 On march 8, Karma Girls is announced as Indochine’s new Single from 13 (on radio march 13). Kimono dans l’ambulance, a short film from 13, written and directed by Nicola, is screened exclusively on the CGR cinemas, from march 20 to march 26. More. Karma Girls (lyrics video) is released.